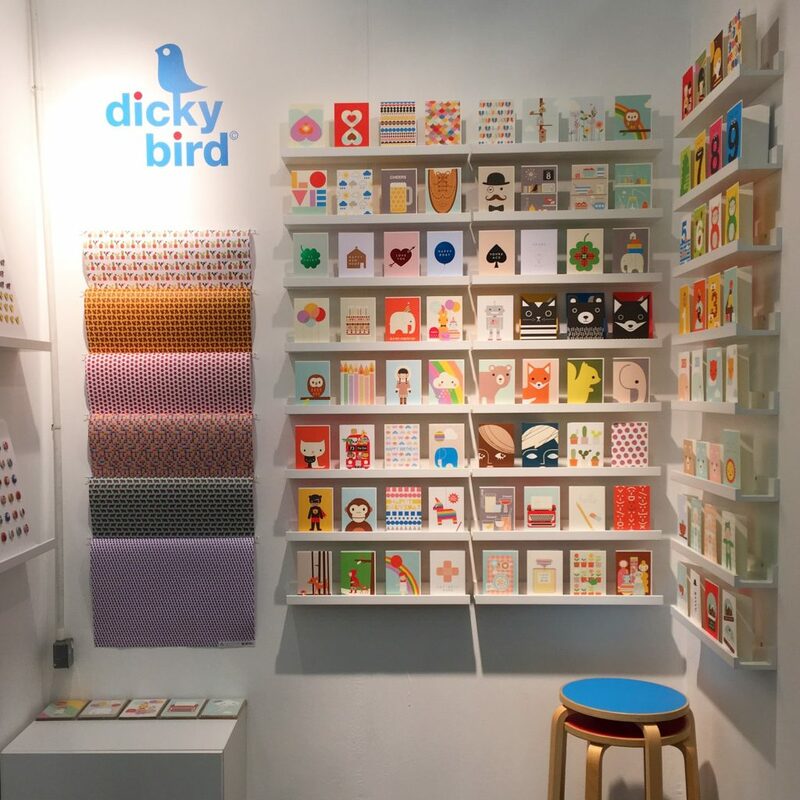 Dicky Bird has been shortlisted for the S/S19 PaperAwards sponsored by G.F Smith in the ‘Exciting Use of Colour’ category. 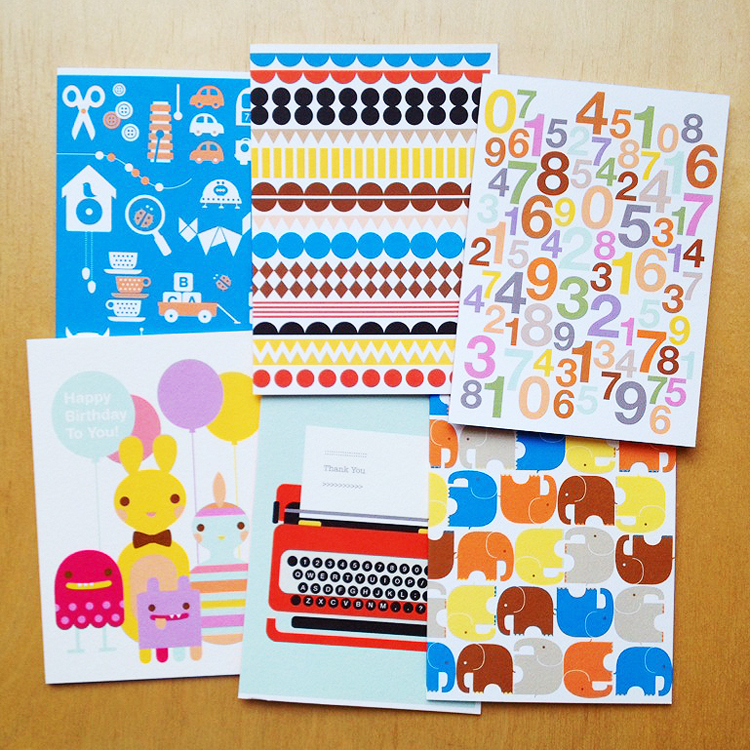 You can’t deny that we love all the colours here at DB! Here we are again! Ready and waiting to meet you at Stand ZA47 / Olympia. Uniqlo’s flagship store at 311 Oxford St. is the host for this year’s Garage Sale from The Poundshop. 7th – 9th December 2017, items from £1 to £100! 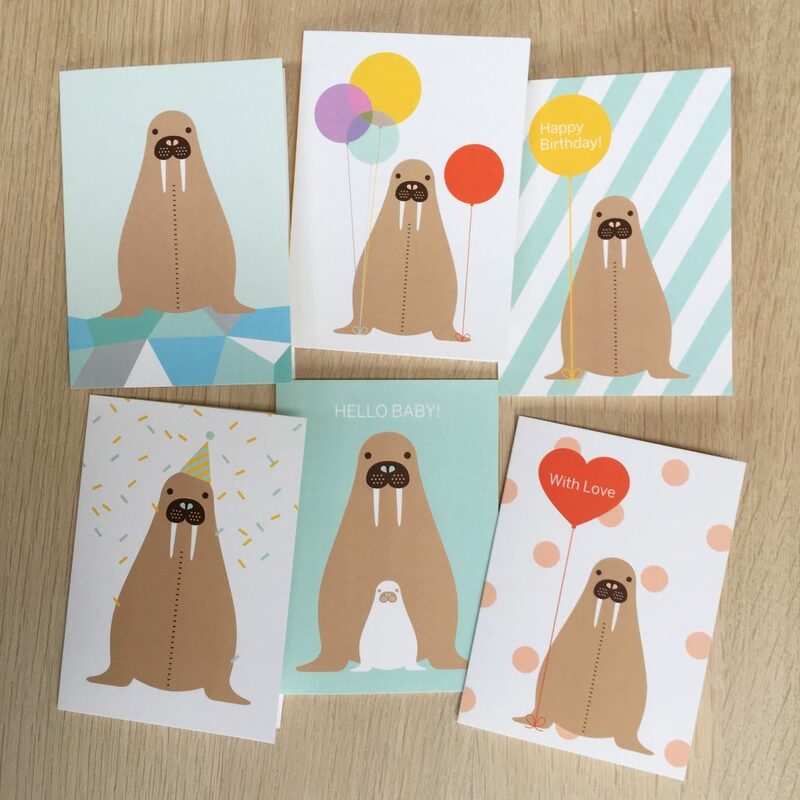 6 new greeting cards that Dicky Bird has designed especially for the Horniman Museum – featuring their awesome stuffed walrus! 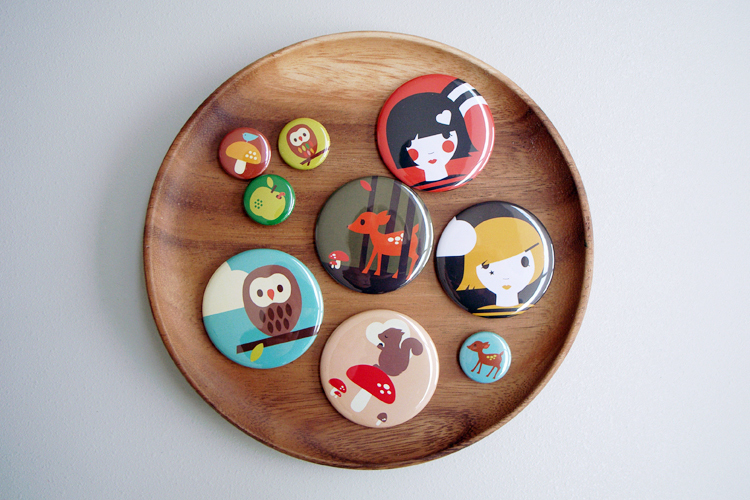 New Button Badges coming up… 10 different designs, available wholesale in a mixed bag of 100. 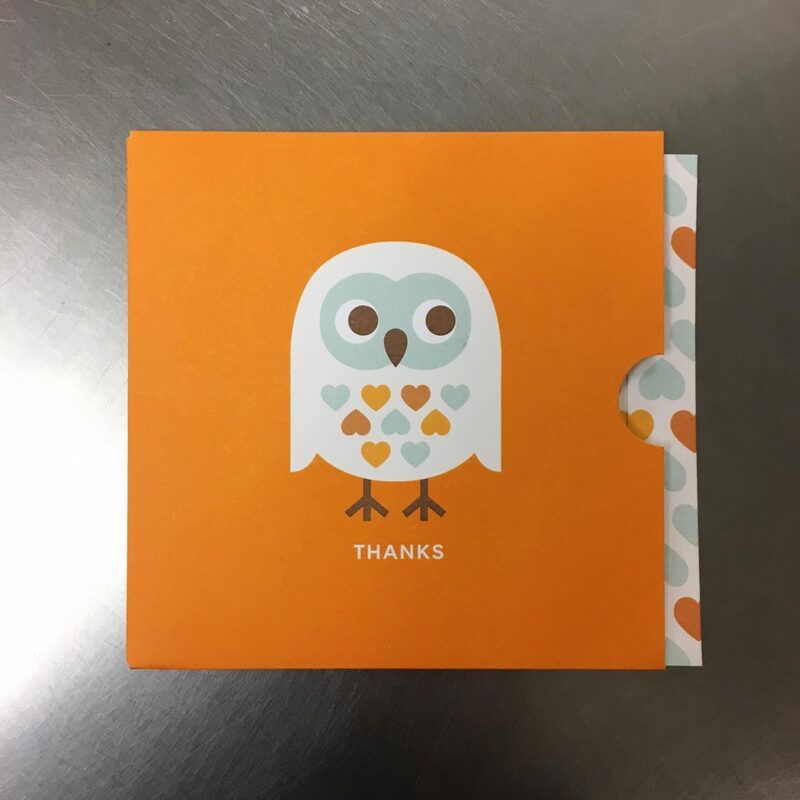 Dicky Bird’s Owl illustration features on this new Thank You Gift Card for M&S. 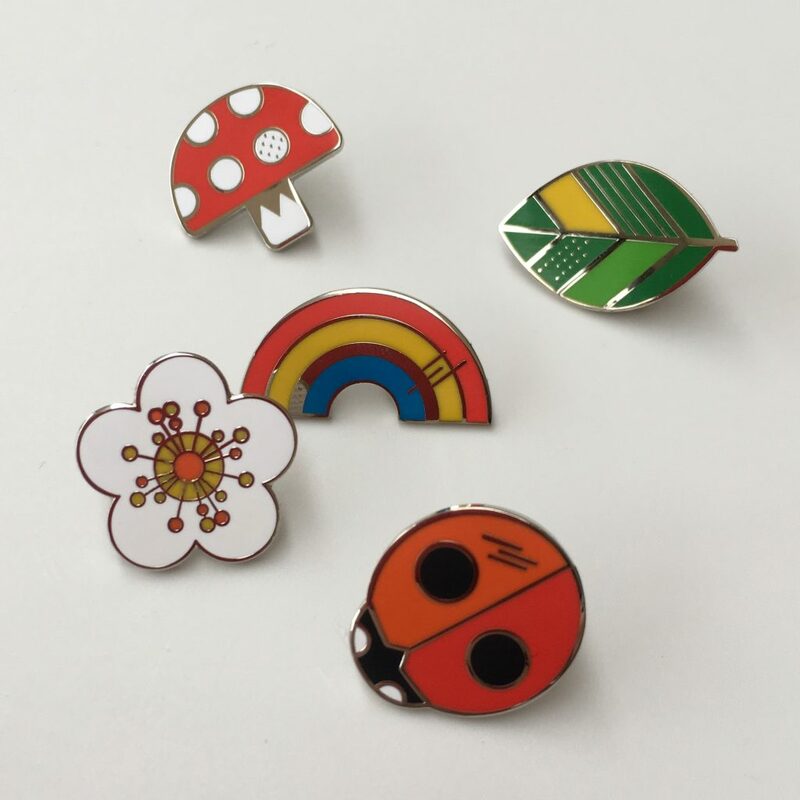 New Pin Badges about to drop! 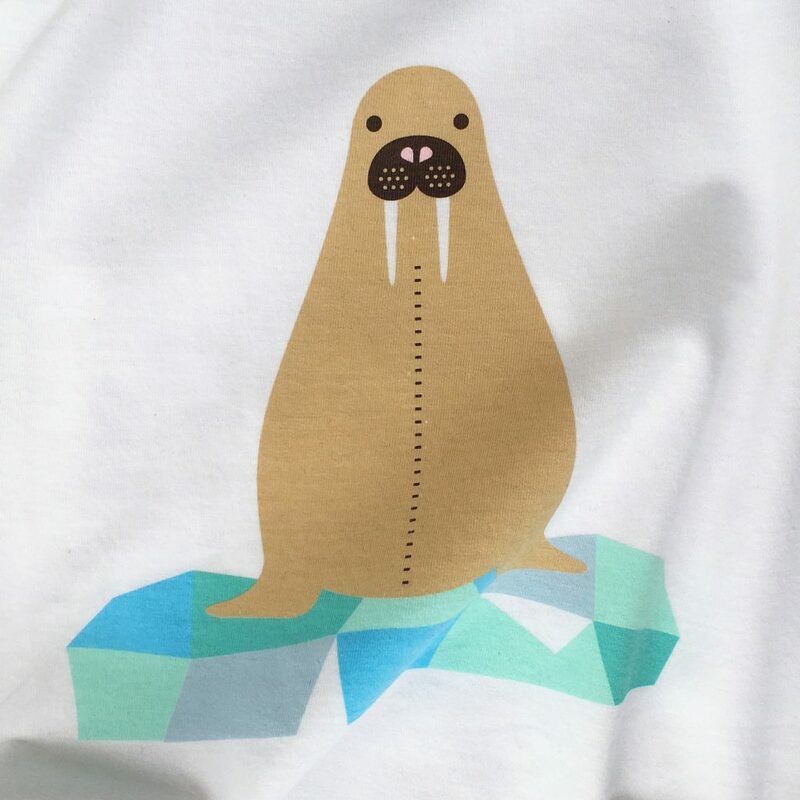 Dicky Bird has been working with the Horniman Museum in South London to develop some items featuring their famous over-stuffed Victorian walrus (sitting on his iceberg). 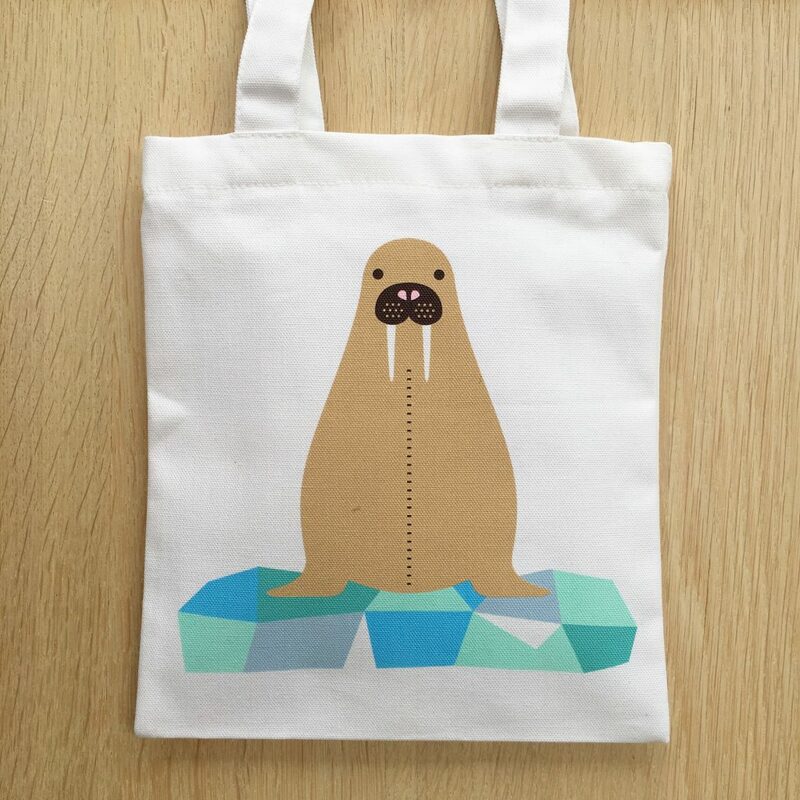 Mini tote bags and T-shirts complete – chocolate lollies and cards to come! 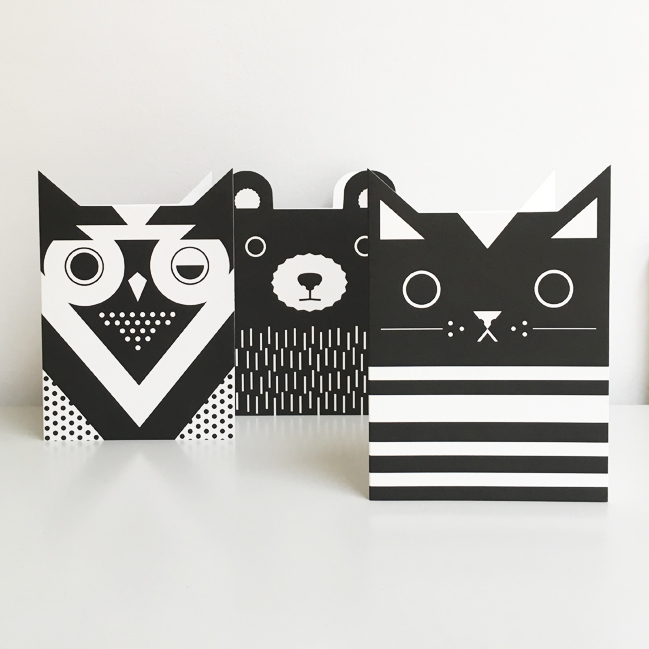 Find these at the new Design Museum Shop on Kensington High St.
Coming soon to Liberty, London. 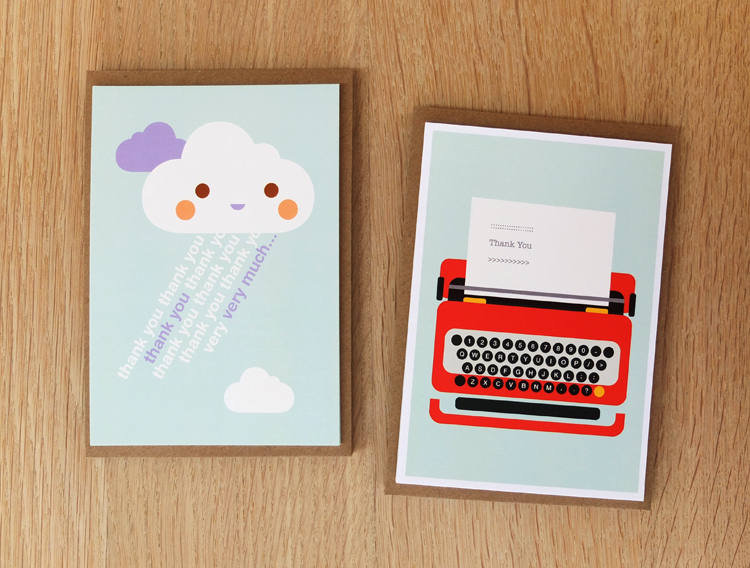 Top Drawer has whizzed around again. 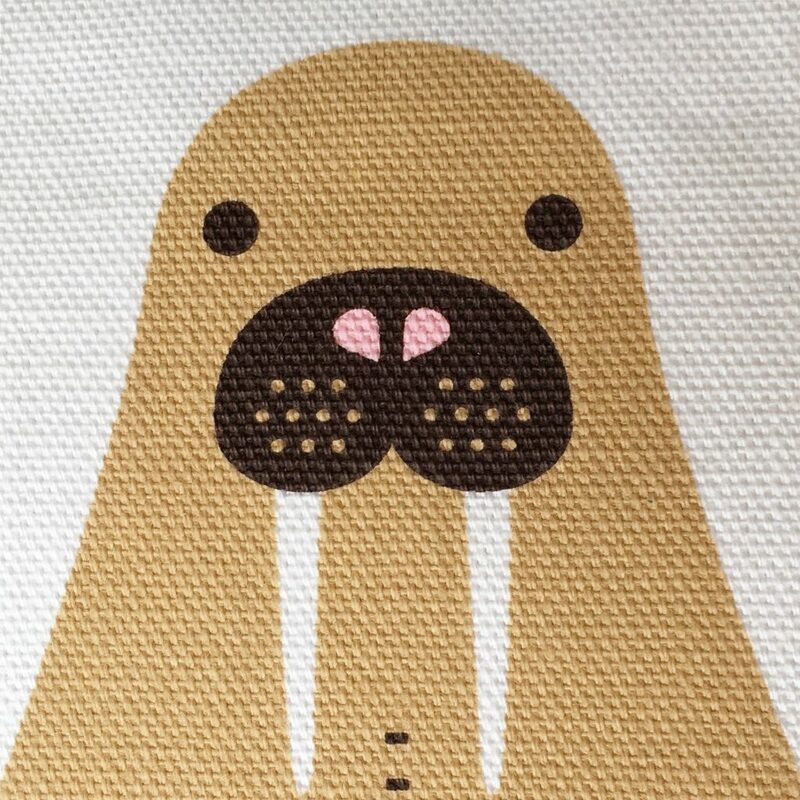 We’ll be there to show you all our new-ness… come by! 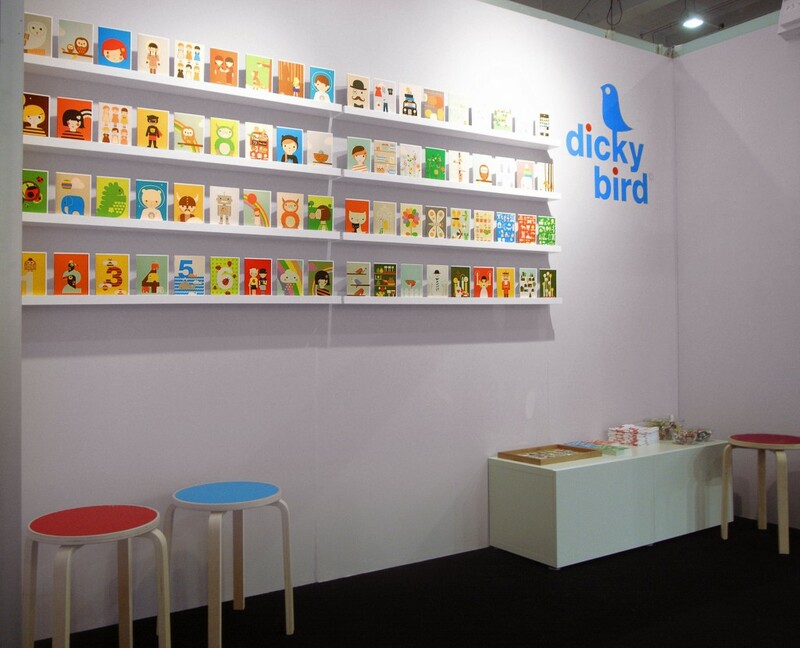 Dicky Bird will be back at The Poundshop – this time at South Block in Glasgow from 29th July – 7th August 2016. 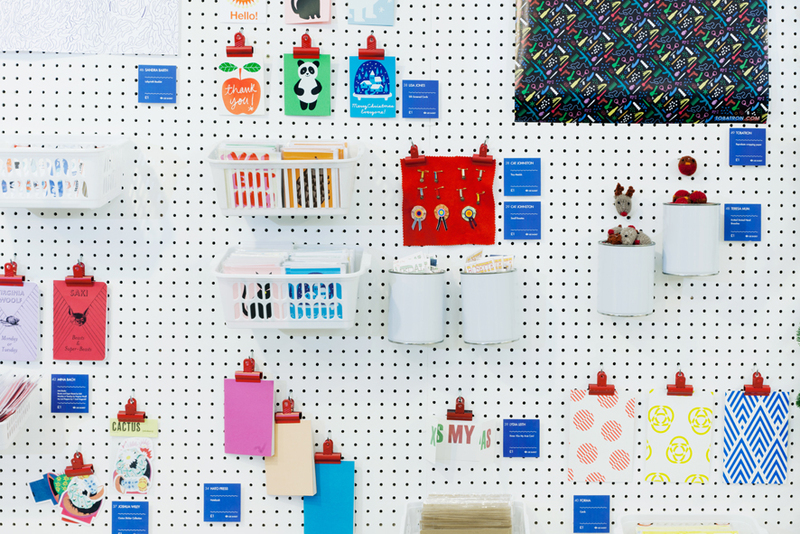 A curated selection of goodies priced at £1, £3 and £5. 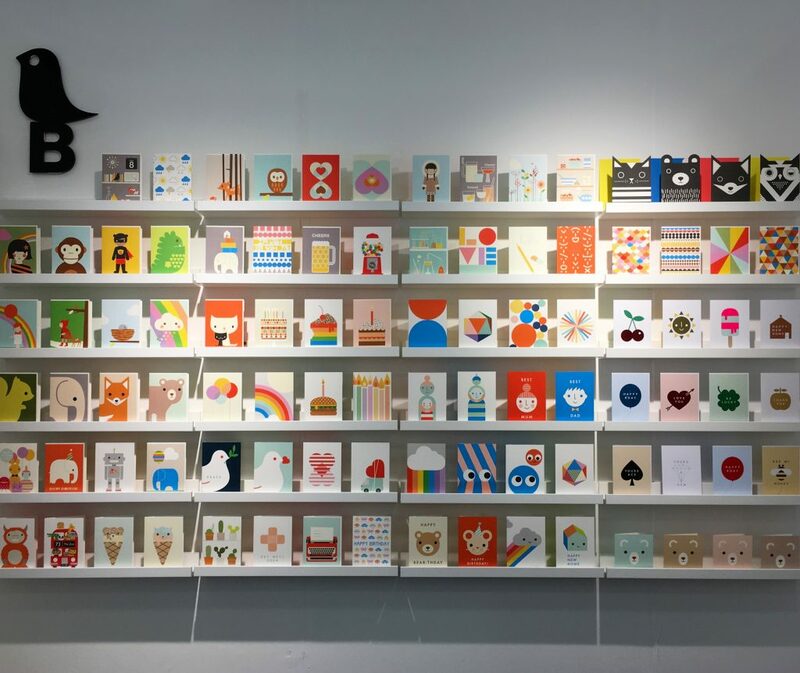 We’ll be back at Olympia for Top Drawer Spring/Summer 2016. 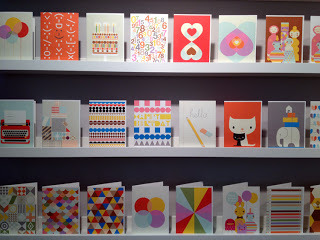 Our stand is small, but packed with colour! 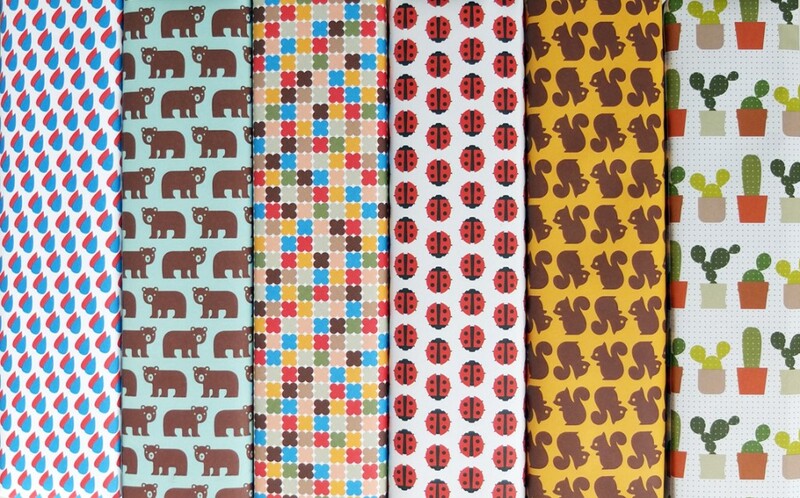 Also new, 6 more Wrapping Papers – Raindrops / Bears / Flower Pattern / Ladybirds / Squirrels / Cacti – ready to show at Top Drawer in January. 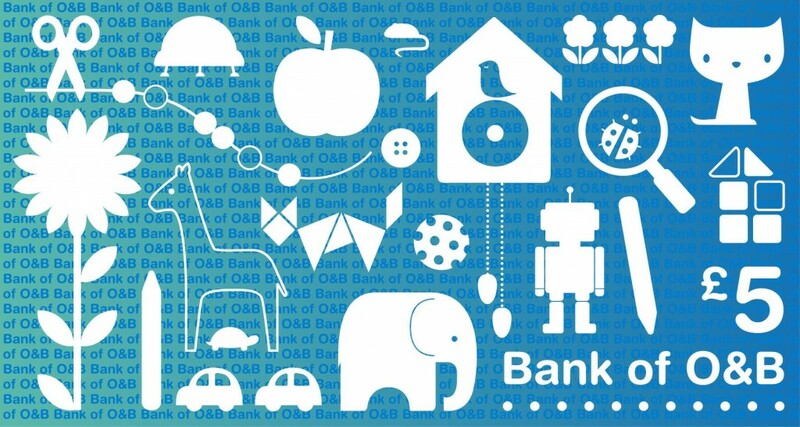 New York design consultancy, Noë & Associates, asked DB to create a 25ft mural for a playroom in a NY residential building. 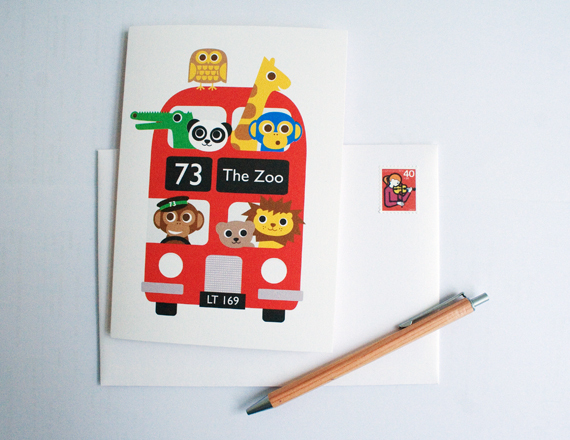 The A to Z of animals was produced as different coloured vinyl decals. 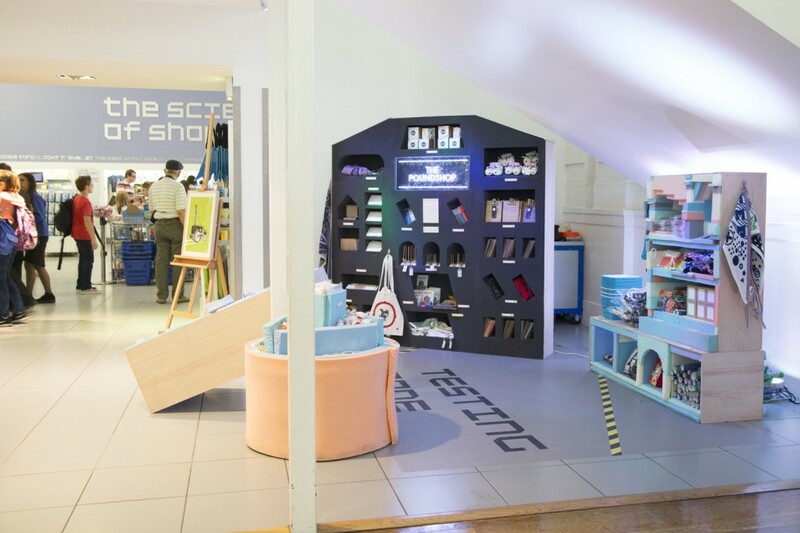 The Poundshop opened a very special shop at The Science Museum London in July 2015. 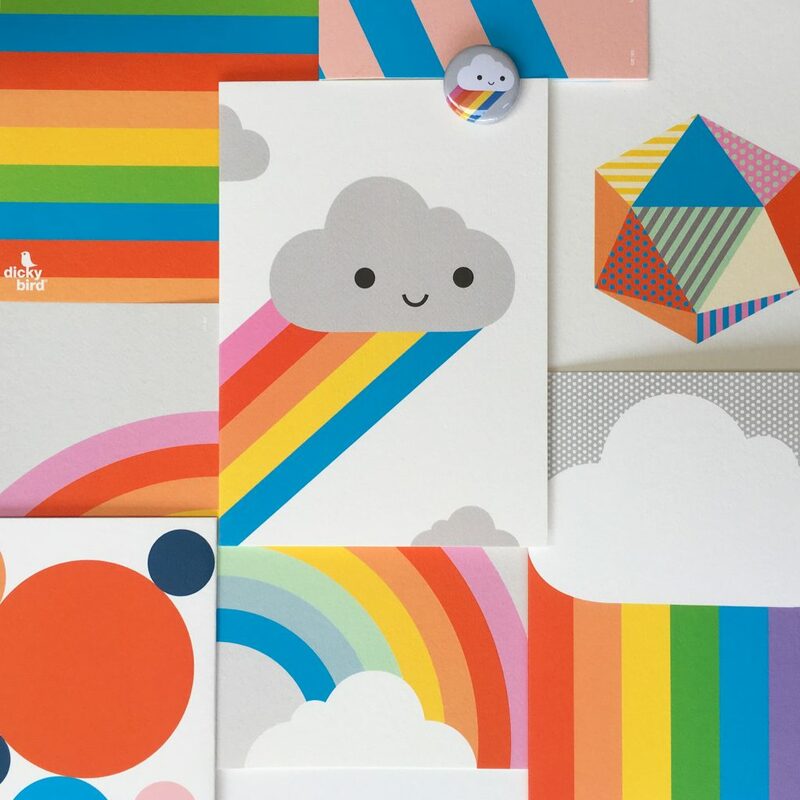 This collection took on a science theme – Dicky Bird provided ‘Molecule’ & ‘Spectrum’ pocket mirrors, as well as ‘Test Tube’ & ‘Weather’ themed cards. 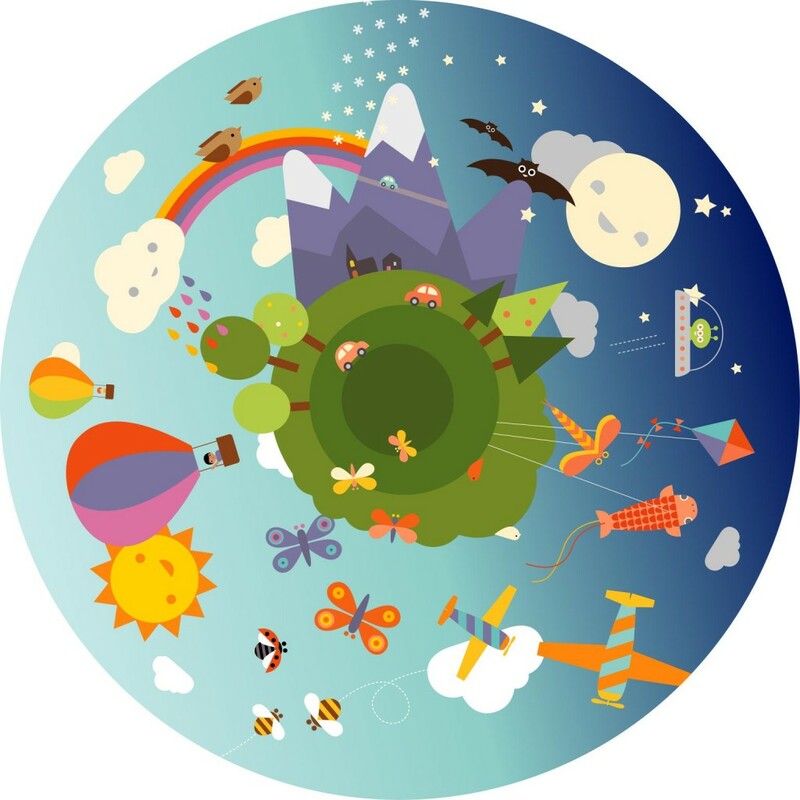 Dicky Bird was commissioned to design 2 new wheels for the Mathmos Space Projector – Zoo & Sky. It was great to be involved with such an iconic British brand. 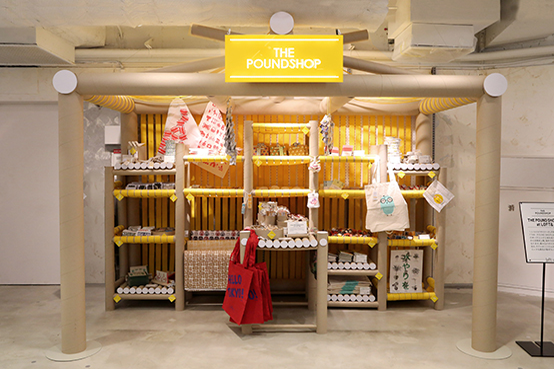 The Poundshop curated a unique collection of inexpensive gifts in collaboration with the department store Au Pont Rouge, St Petersburg, Russia. 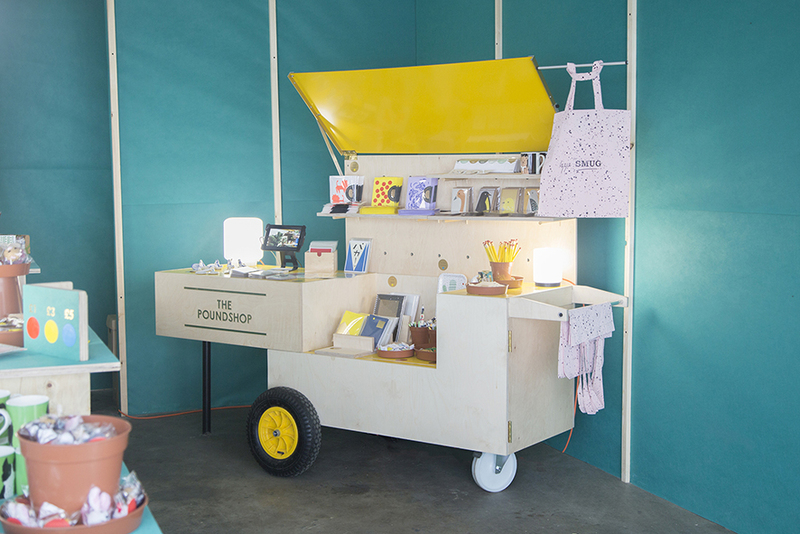 Dicky Bird contributed Pocket Mirrors and Wrapping Papers to this exciting pop-up. 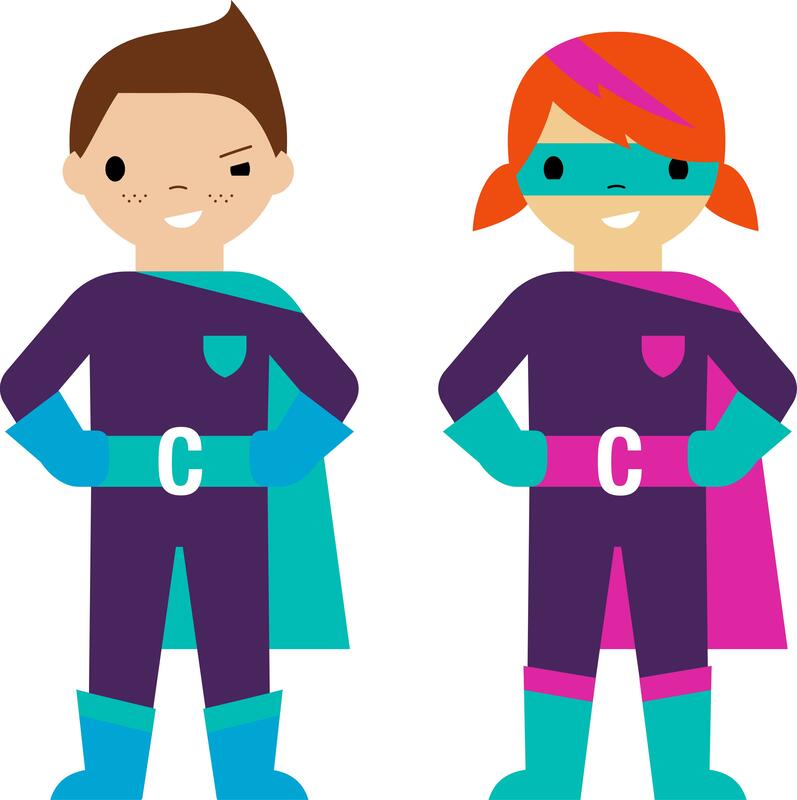 We worked with Cardiff design studio Departures once again to produce 2 Superhero characters to promote the use of the Welsh language in schools. 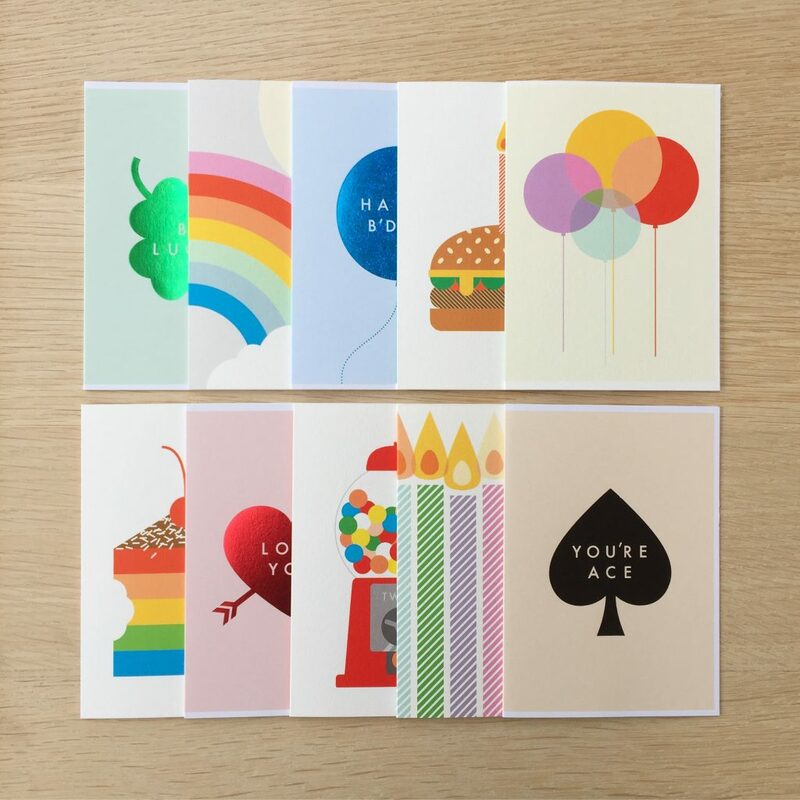 We’ll be bringing these new foil blocked cards to our first Top Drawer on Sunday, Monday & Tuesday next week. Maybe we’ll see you there?! 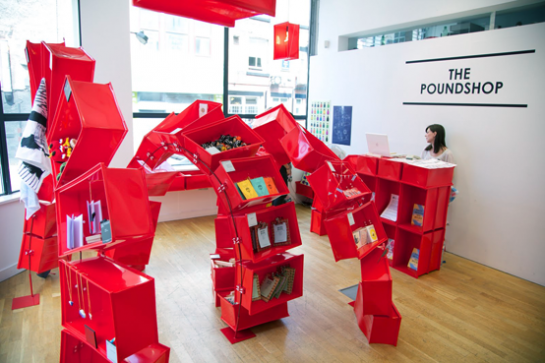 Those Poundshop girls have been at it again, creating a brilliant Christmas pop-up at the ICA gallery on The Mall in London. 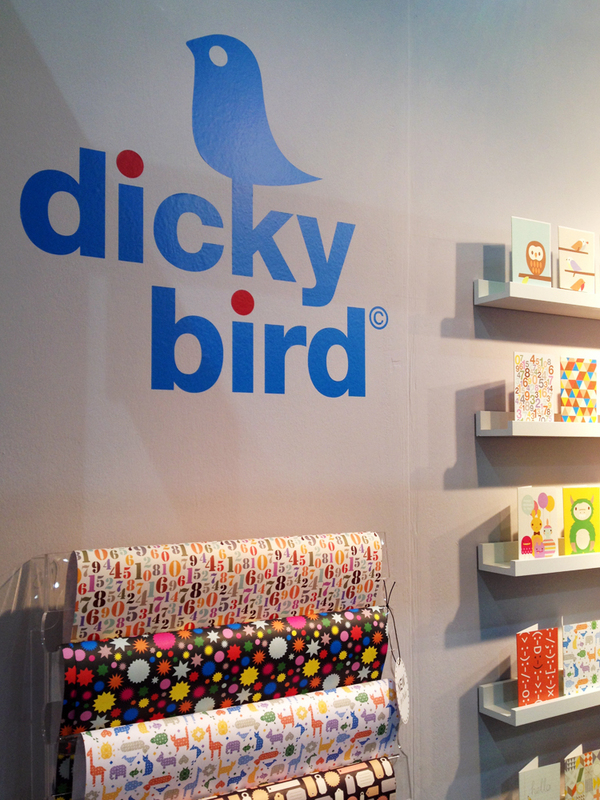 Dicky Bird was there of course – with Christmas Cards & Pocket Mirrors. 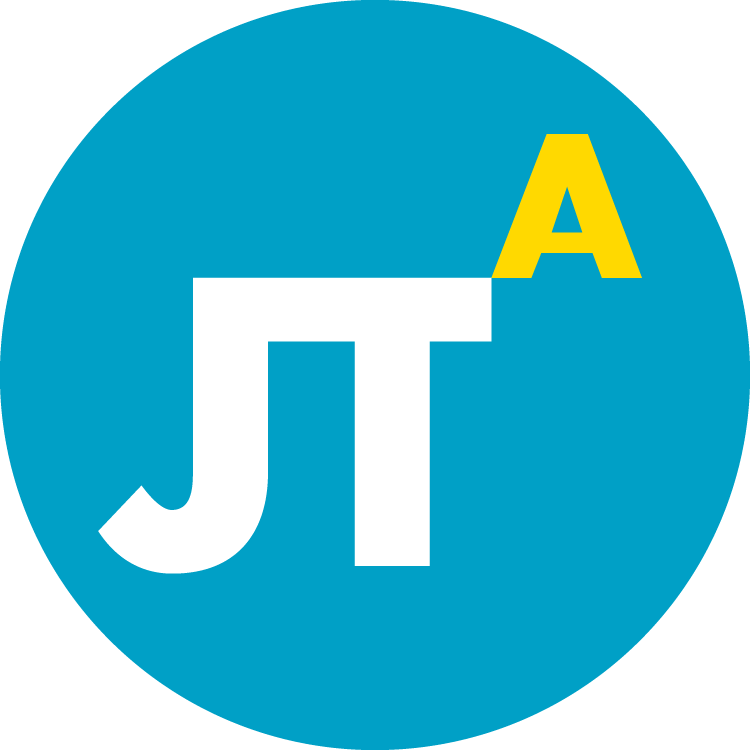 DB designed this logo for our friends at Jo Townshend Architects in SE London for use on social media sites. 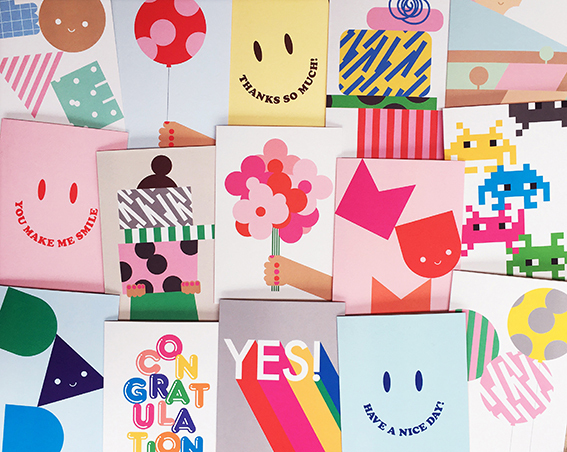 Dicky Bird was proud to be part of ‘Bibliotheque‘s Bibliotheque’ – a pop-up exhibition & shop at Hoxton Arches, created to celebrate their 10th anniversary. 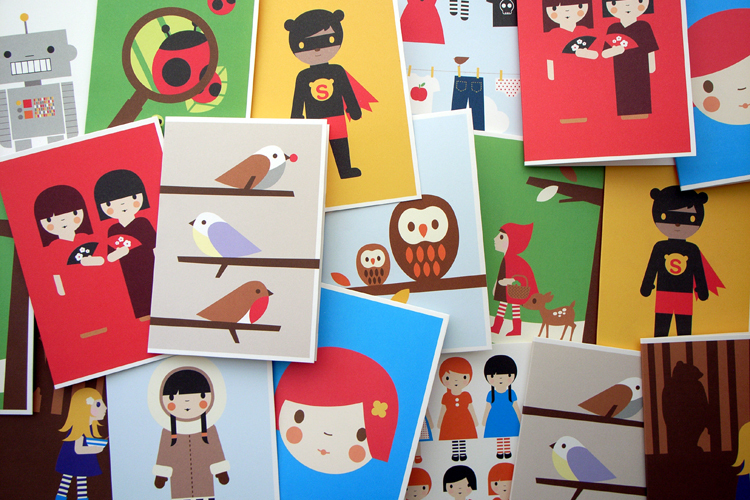 DB created these characters for Pickle Kids – an online vintage kids shop. Busy times at PULSE – lovely to catch up with our regulars and great to meet the new ones. 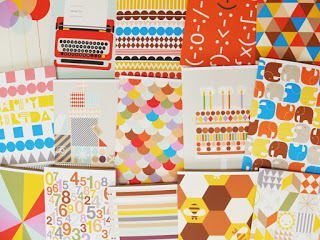 As well as the Wrapping Paper, we had lots of new card designs to show. 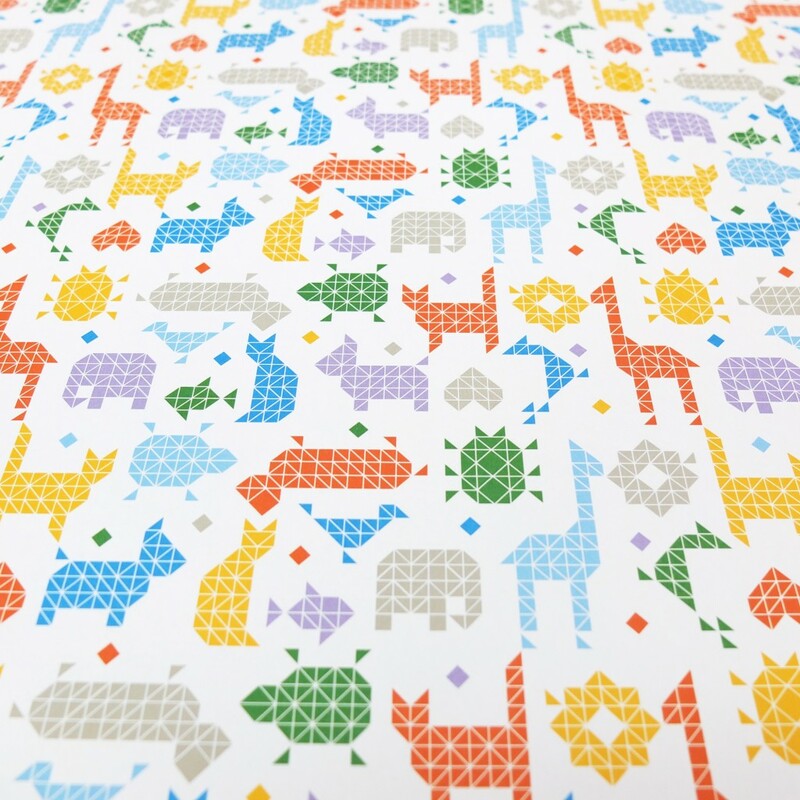 Dicky Bird will be launching 6 new Wrapping Paper designs – including this ‘Animals’ one – at PULSE, Earls Court from 11th until 13th May. 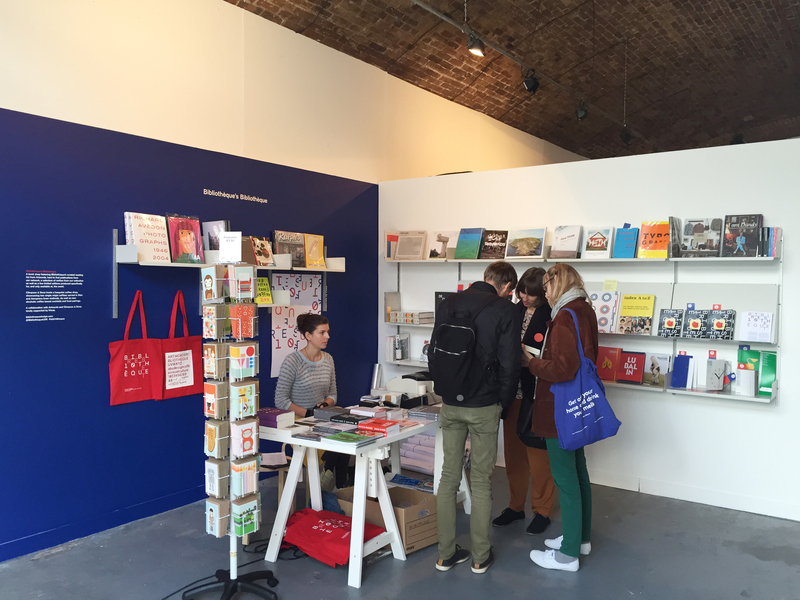 Pop by and say hello – we’ll be at stand C16. 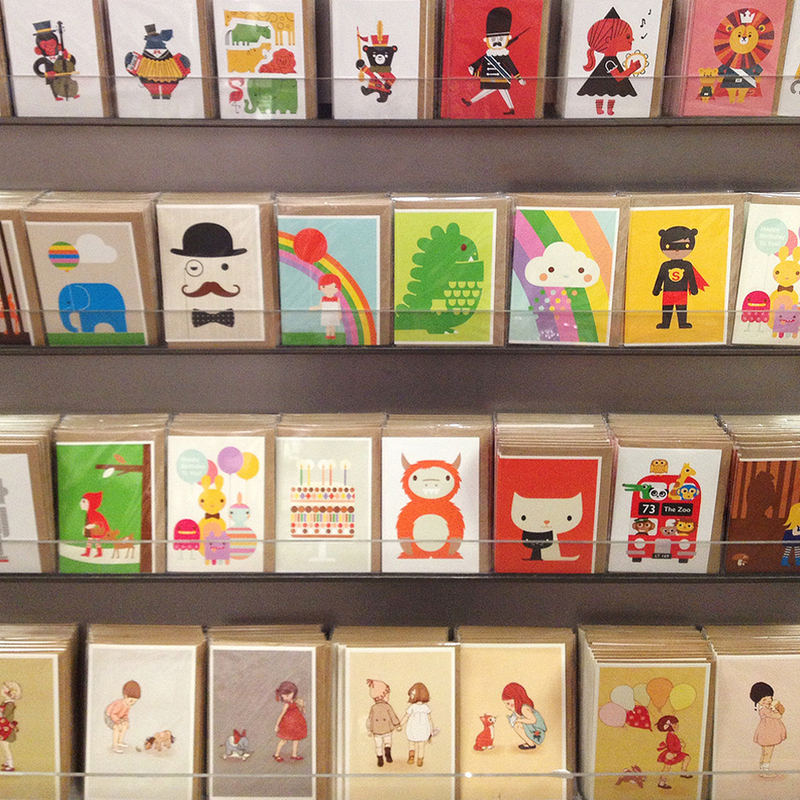 We paid Paperchase on Tottenham Court Road a visit to take a look at the Dicky Bird shelves. 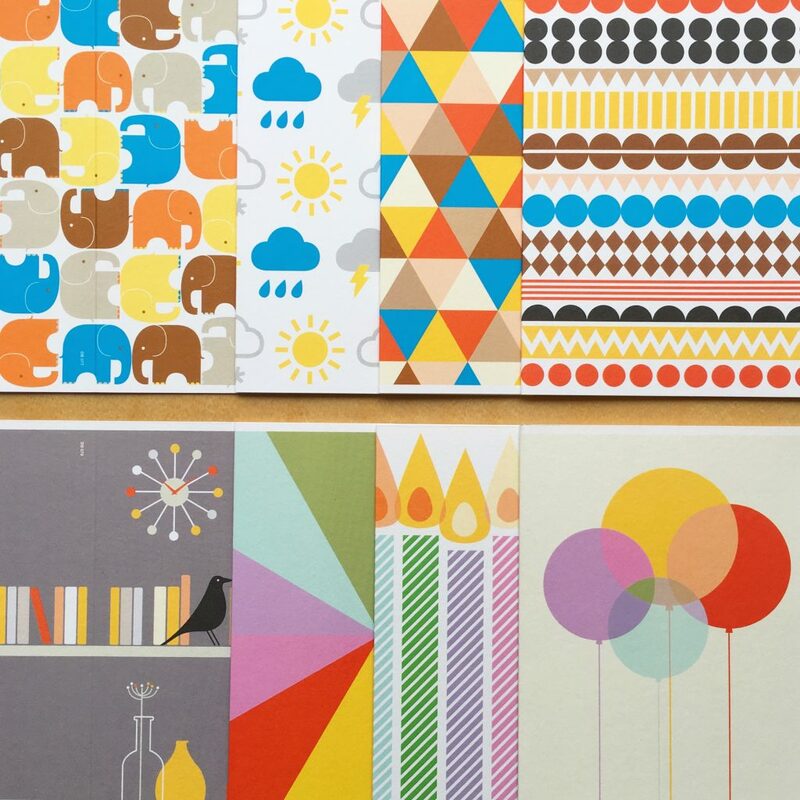 Dicky Bird has collaborated with East End Prints to produce some prints for Habitat kids’ summer collection. 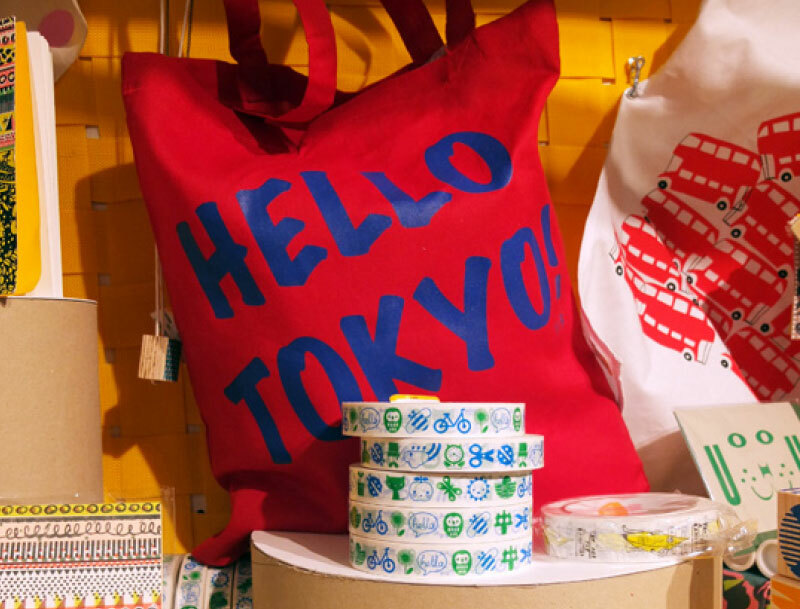 We travelled to Tokyo in May – so we got to visit Loft: Shibuya in person where Dicky Bird was part of the pop-up shop curated by our friends at The Poundshop . 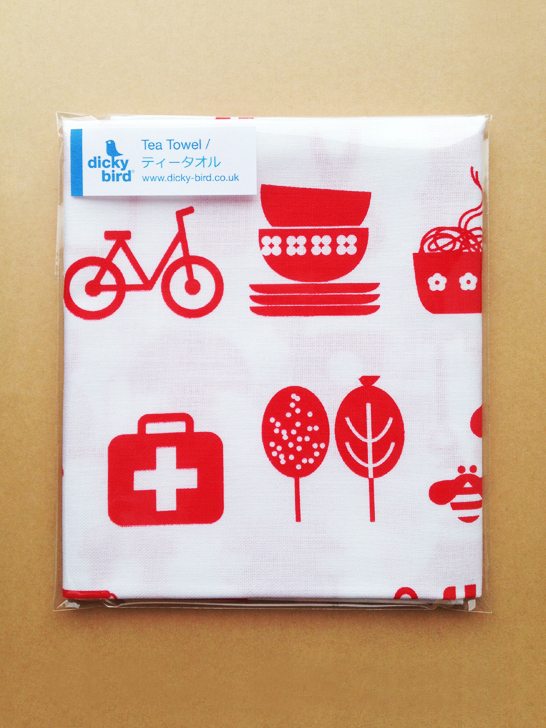 The ‘House & Garden’ tea towel bound for Loft. 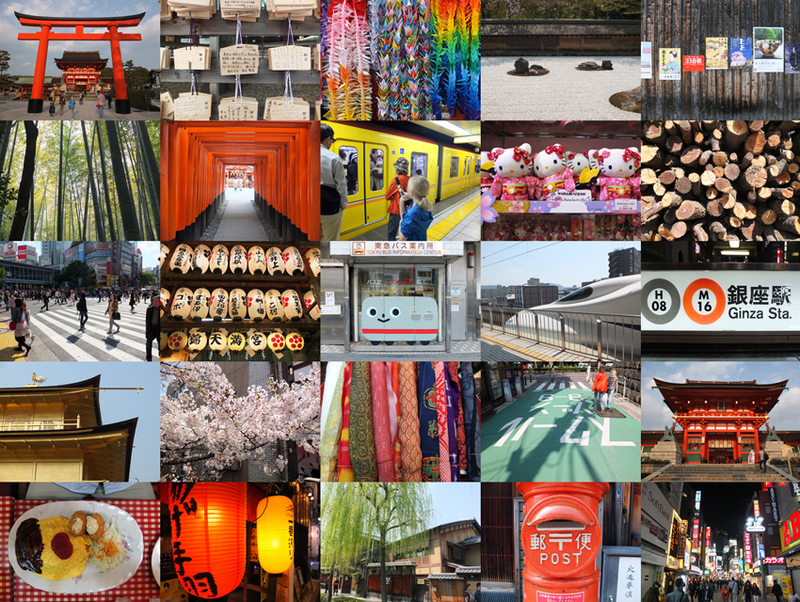 Sayonara London – Konnichiwa Tokyo! 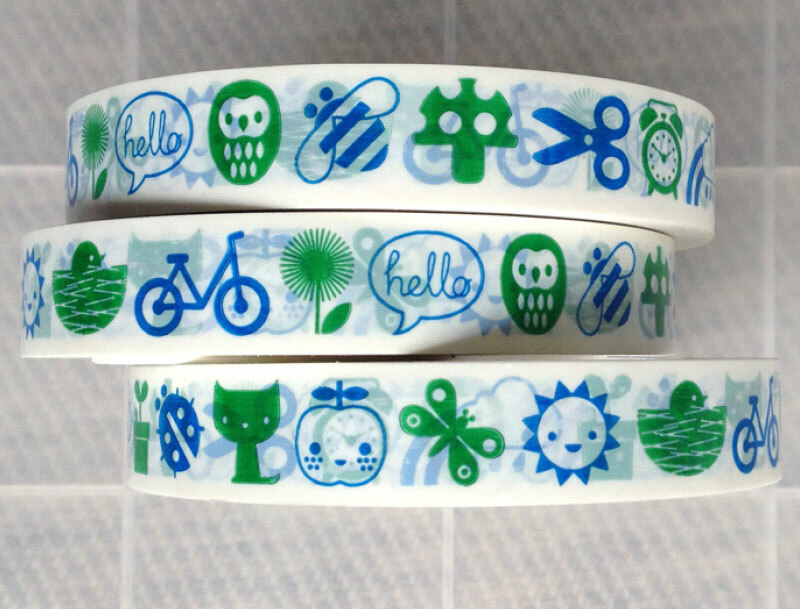 Custom Sticky Tape for Loft: Shibuya featuring 16 different DB icons. 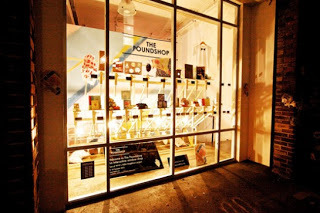 The Poundshop’s tenth shop was held in KK Outlet in Hoxton. 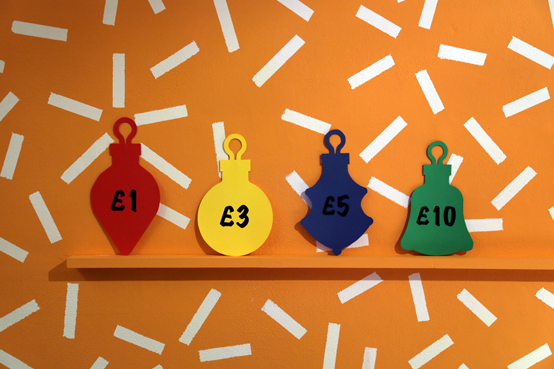 There are four price bands this time – £1, £3, £5 and £10 and the shop is open from 5th – 21st December 2013. 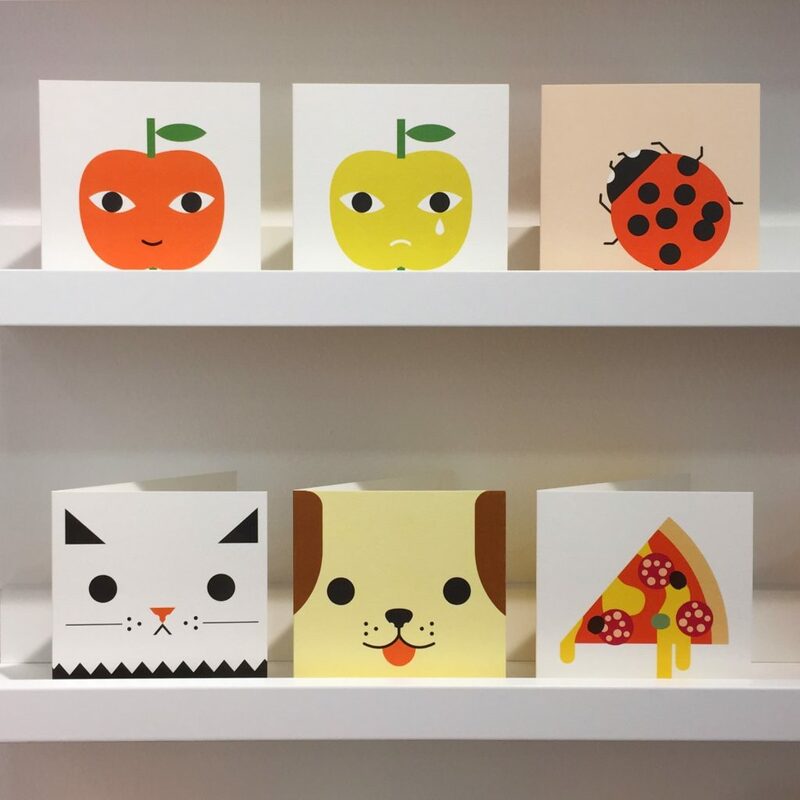 Another month, another Poundshop – but this time we’re popping up in Selfridges! It’s part of their 2013 Bright Young Things initiative and the PS girls have installed an amazing budget window display facing onto Oxford Street. 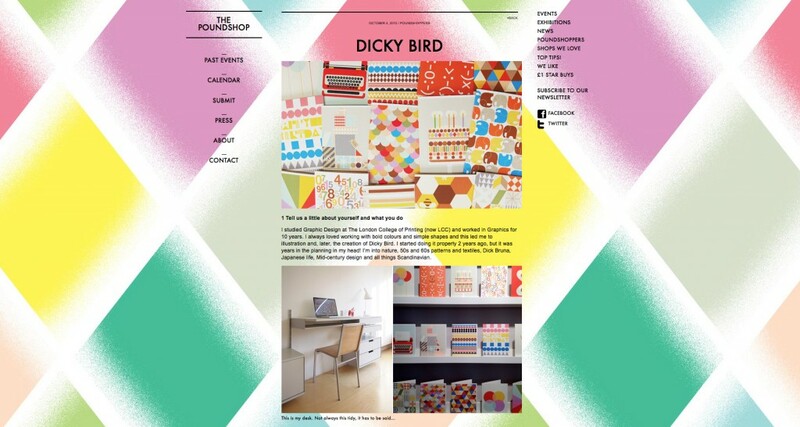 There’s a mini interview with Dicky Bird up on The Poundshop website here. 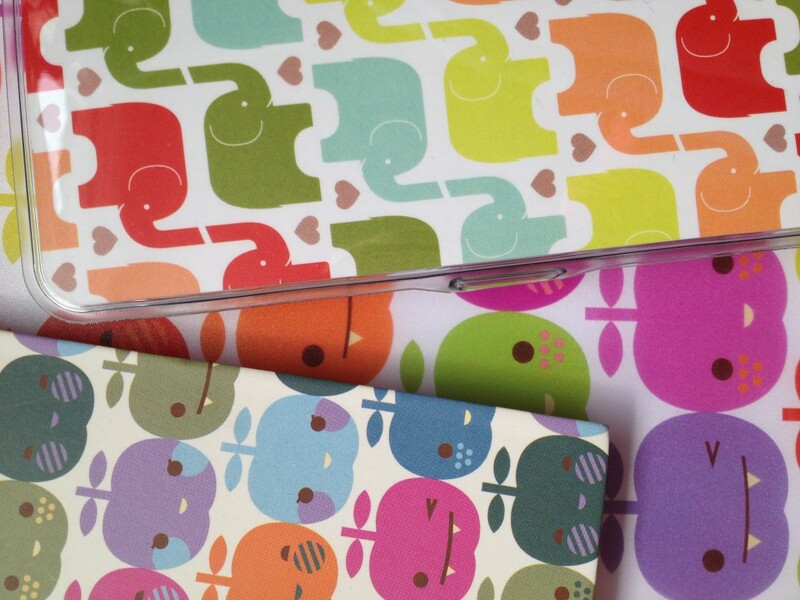 WHSmith commissioned Dicky Bird to create some graphic repeat patterns to go on their Autumn collection of diaries and pencil cases. 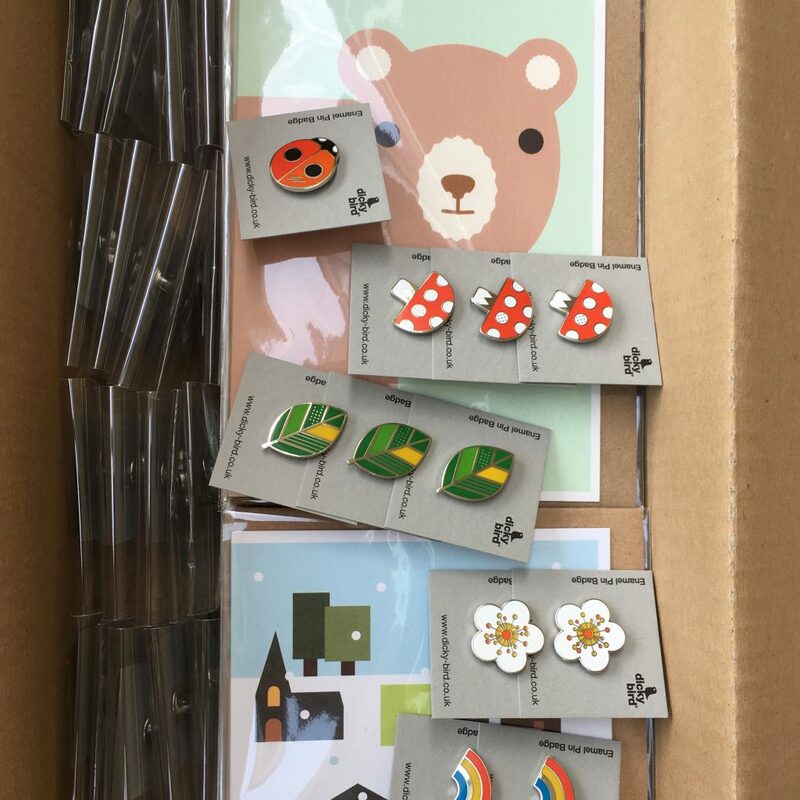 This little selection will be available at the trés chic concept store Colette on the rue Saint Honoré in Paris this summer. Nous sommes très enthousiastes! 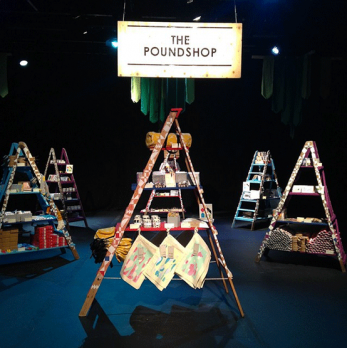 Dicky Bird took part in The Poundshop number 7 at the Chinese Arts Centre in Manchester last month. 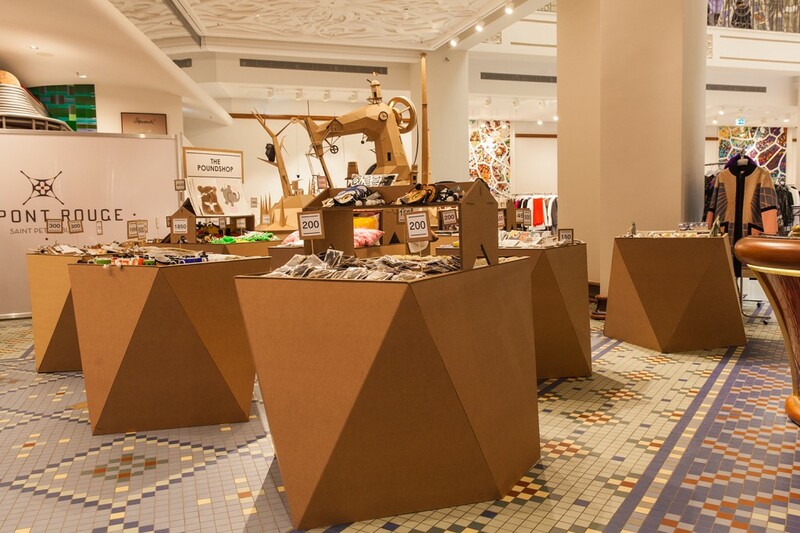 We really liked their crazy retail installation. 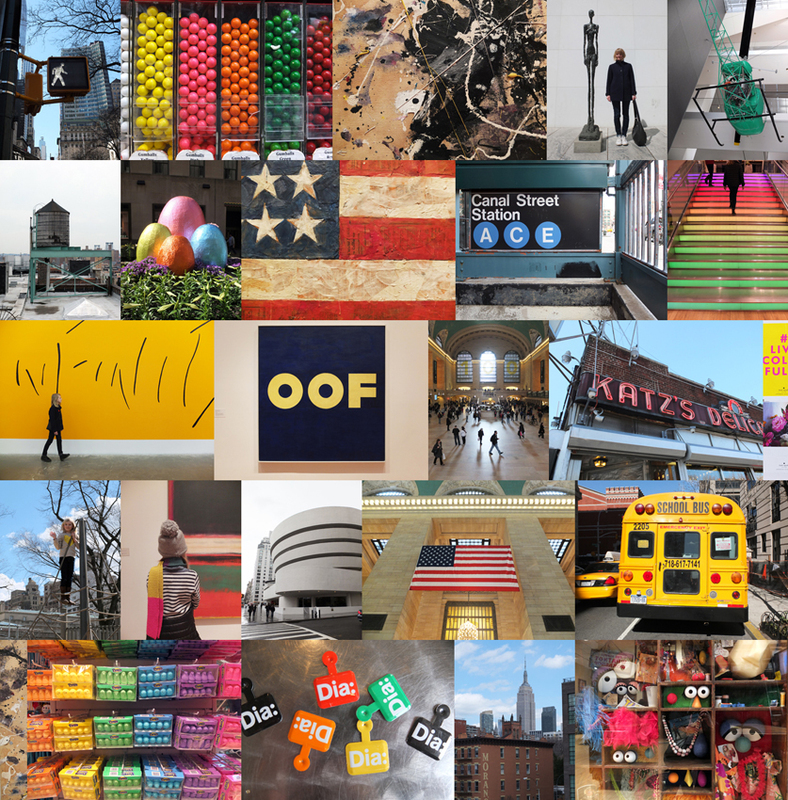 Dicky Bird trip to NYC – amazing art, awe-inspiring buildings, icons on every corner. Basically awesome. By popular demand! 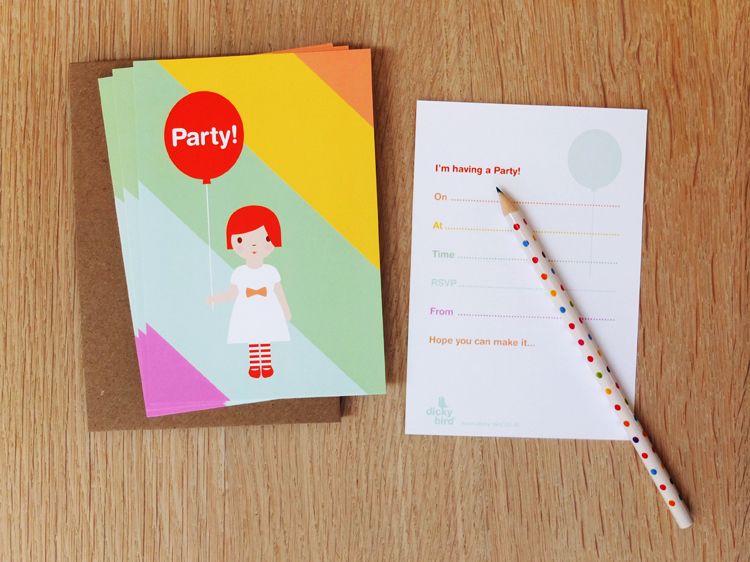 Party Invitations & Thank You’s – you get 8 postcards and envelopes in each pack. 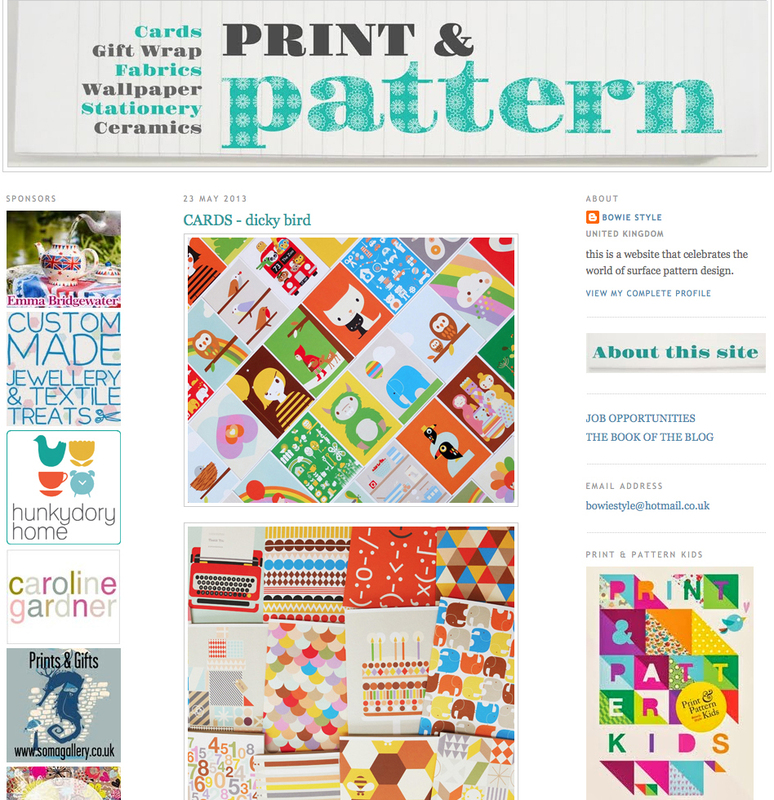 Print & Pattern blog – one of the Times Online 50 world’s best design blogs – ran a little feature on Dicky Bird this week. Thank you P&P. 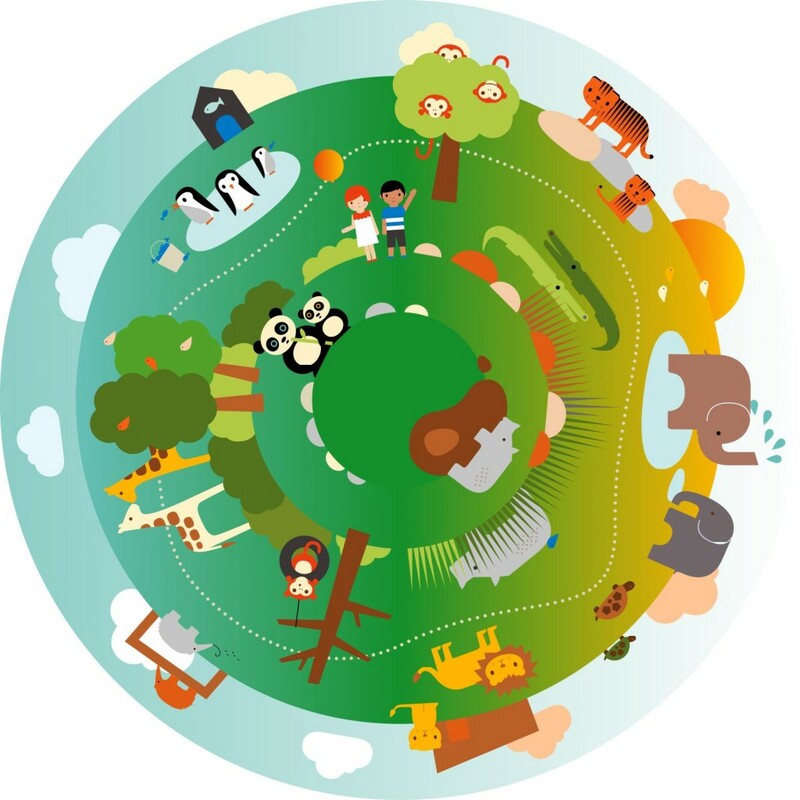 It’s PULSE time again – please drop by! It would be nice to see you. 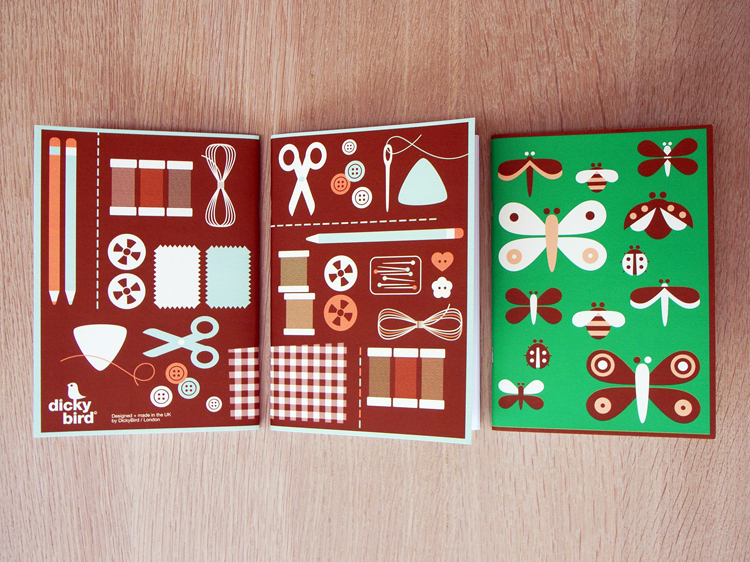 And these A6 Hardback Notebooks – ‘Insects’ & ‘Stationery’. 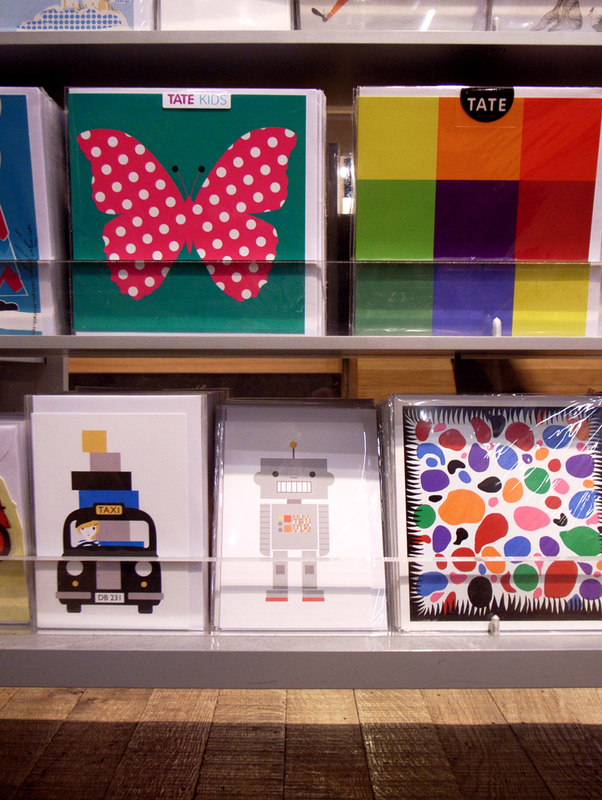 Spotted some DB cards sitting next to Yayoi Kusama in the Tate Modern Bookshop yesterday. Nice to rub shoulders with the Queen of Spots! 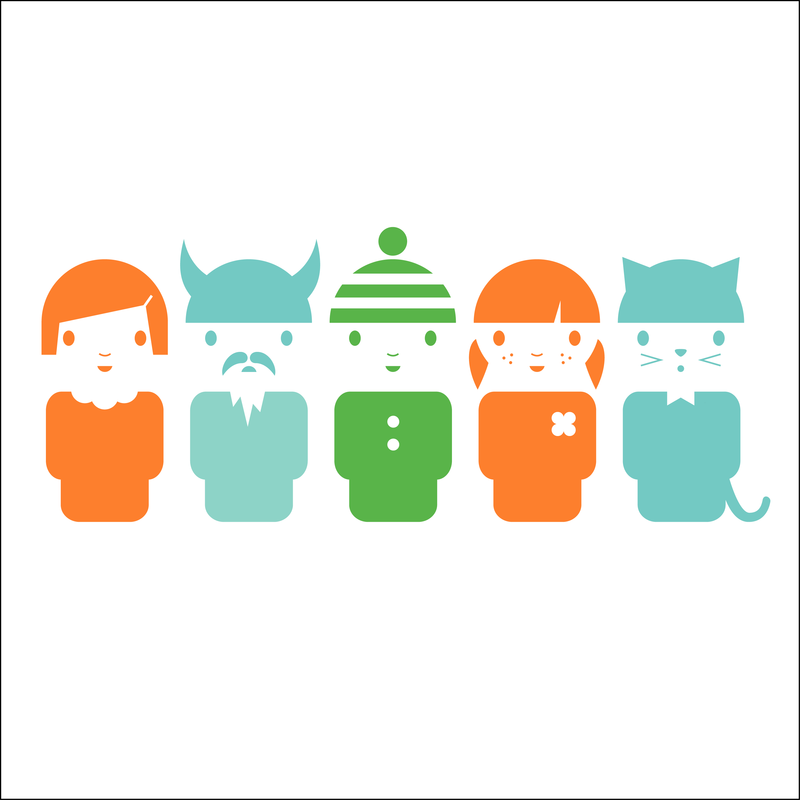 Departures – a design consultancy based in Cardiff – asked DB to create 29 illustrations for a Welsh language alphabet poster. 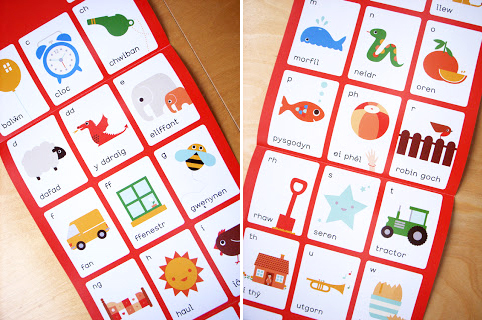 Welsh has 3 more sounds than the English alphabet (which only has 26). 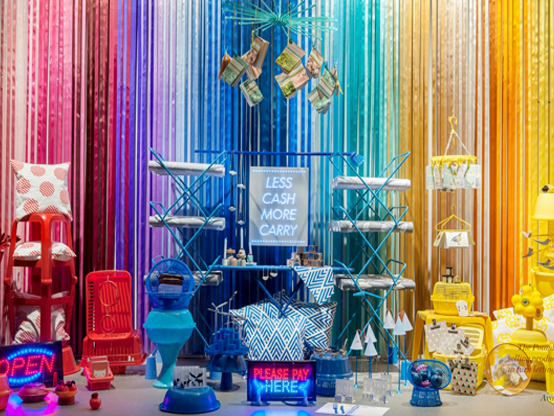 Especially for Wieden+Kennedy, The Poundshop has created a super exciting interactive shopping experience in the window of W+K’s London office. Open from 3rd October until 10th October 2012 at 16 Hanbury Street, London E1 6QR. 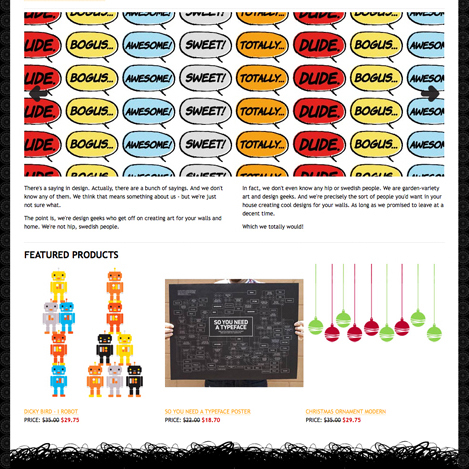 View the products live and shop online using your smart phone at the same time! Spot the Dicky Bird ‘House & Garden’ Tea Towel. 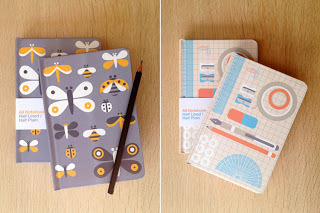 New A5 Softback Notebooks – ‘Making & Doing’ and ‘Insects’. I’m back from the PULSE trade show where I met loads of interesting people. 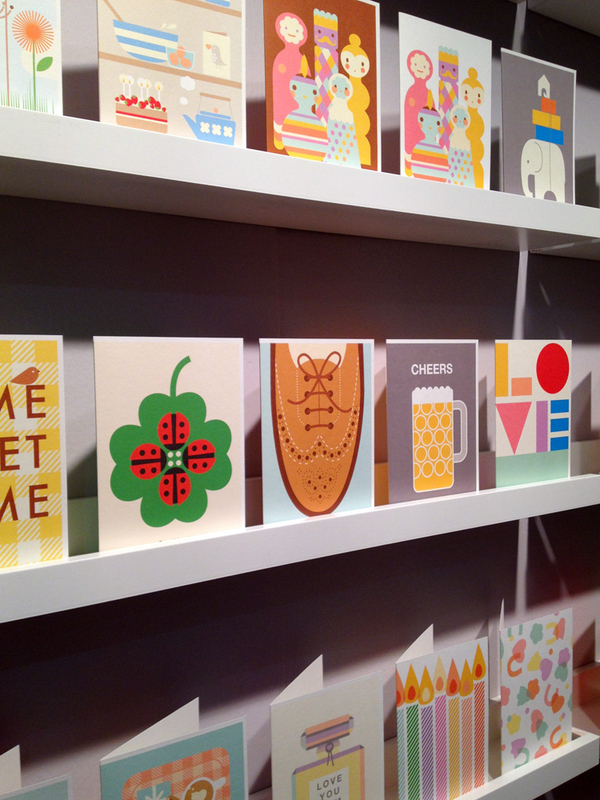 Lots of them said that they liked the simplicity of the DB stand…which was nice! 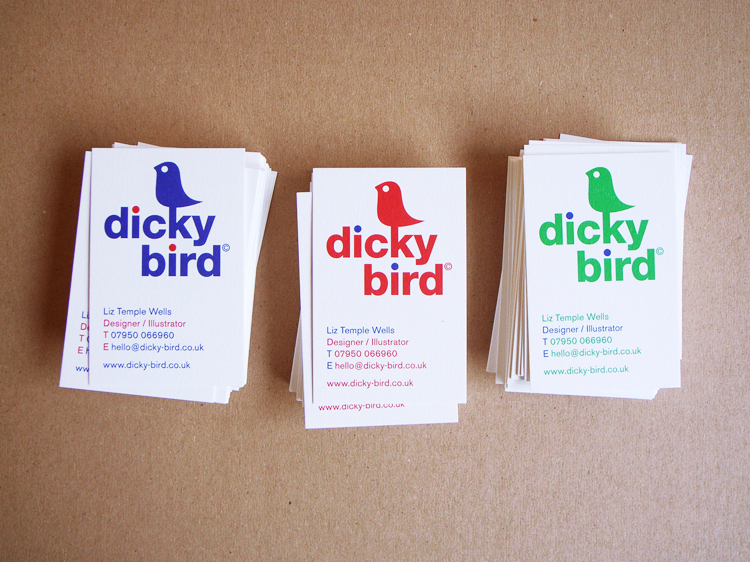 Our new business cards have arrived, ready to hand out at PULSE in a couple of weeks time. 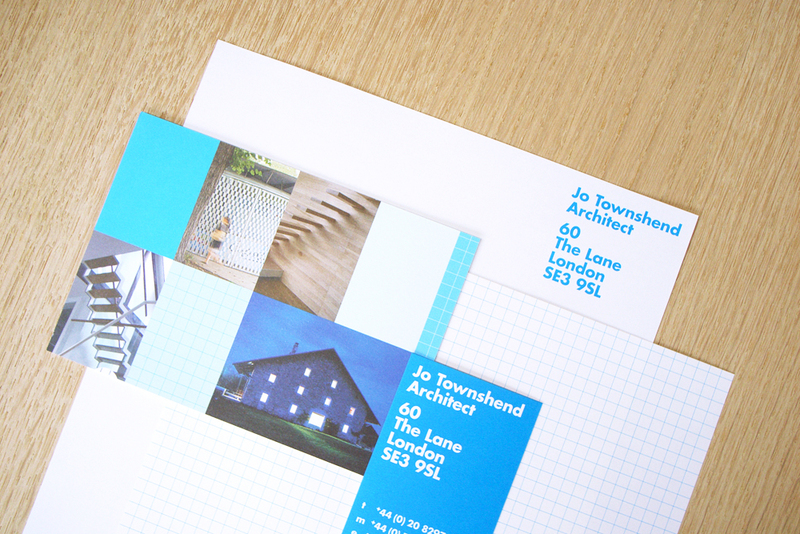 Clean and simple stationery design for architect Jo Townshend. 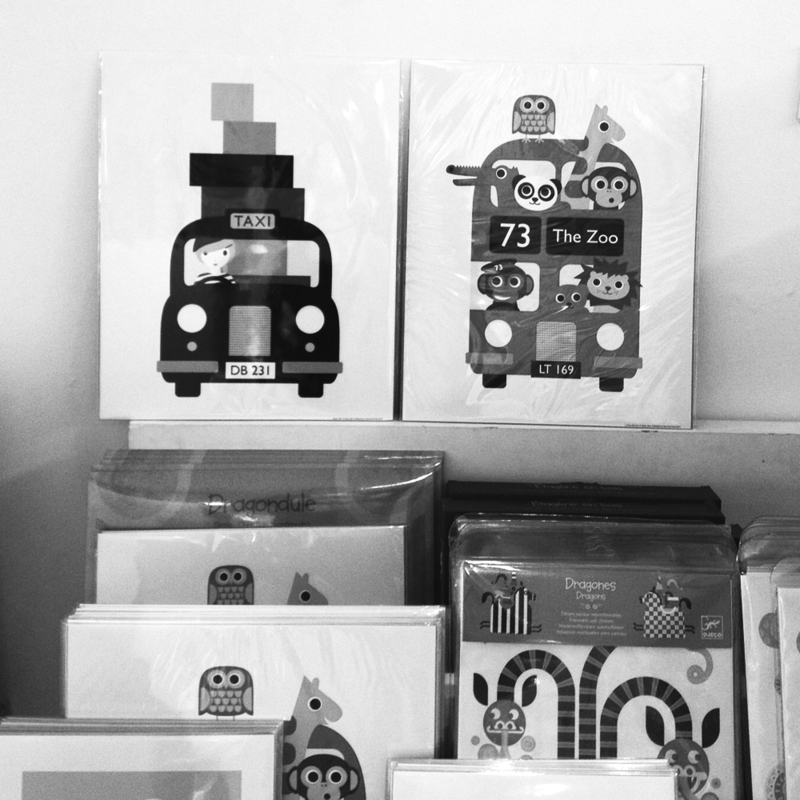 Ottie & the Bea, our favourite toy shop in the whole world, asked us to design some gift vouchers for them. And we were extremely happy to oblige. 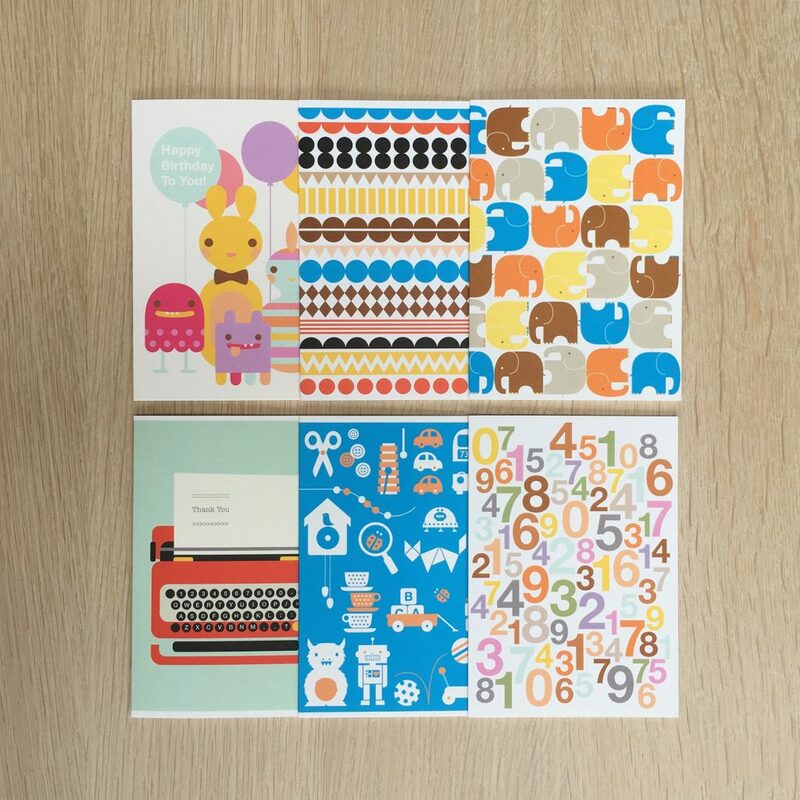 Dicky Bird was interviewed for the Postcrossing blog – a place dedicated to lovers of cards, postcards and doing things the old-fashioned way! 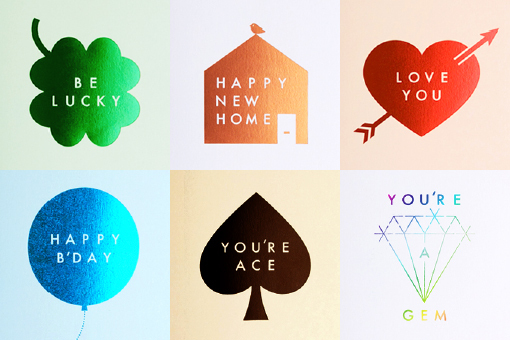 Bibliotheque Design commissioned Dicky Bird to produce a set of illustrations for The Anna Freud Centre in London. You can see some of them on their new website here. 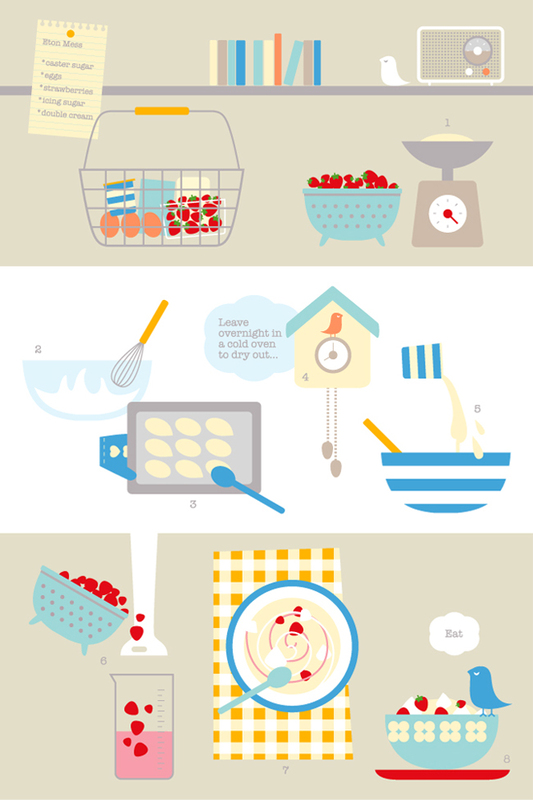 Dessert Girl in the US asked me to illustrate my favourite pudding recipe for her delicious blog. I chose Eton Mess, which is basically the best dessert ever invented. 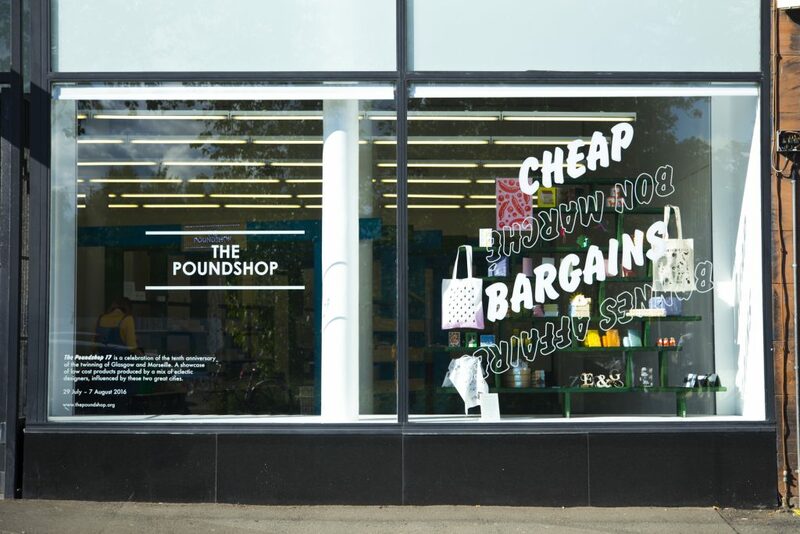 The Poundshop is back – this time at the Alma showroom, 12-14 Greatorex Street, E1. It’s the ultimate low-cost, high quality shopping experience! 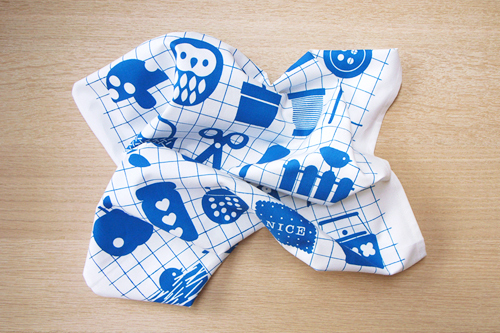 We’ve designed and produced this Blue & White Tea Towel to feature in the Poundshop’s £5 price bracket. 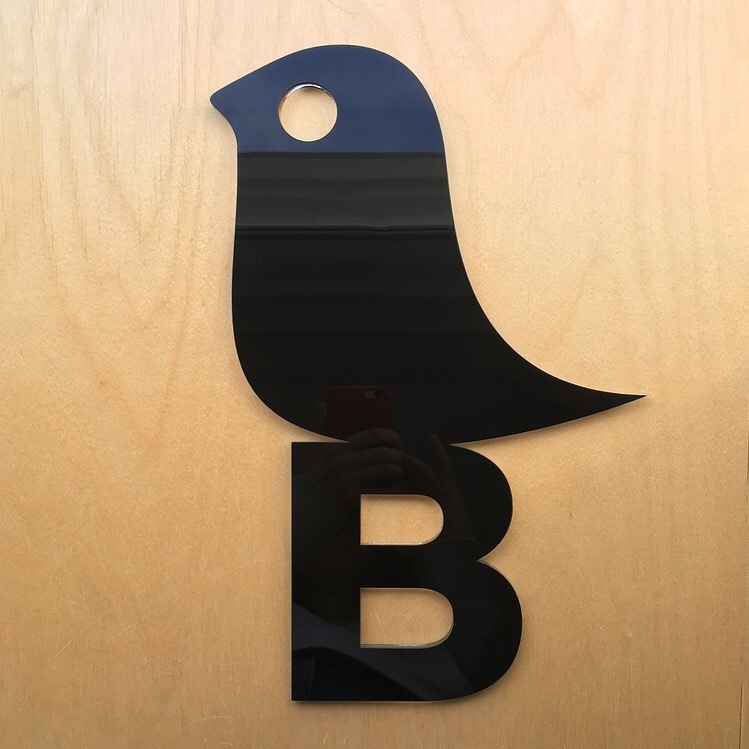 We’ve done some massive wall decals with American company Scribble On Everything. The Robots are our favourite. 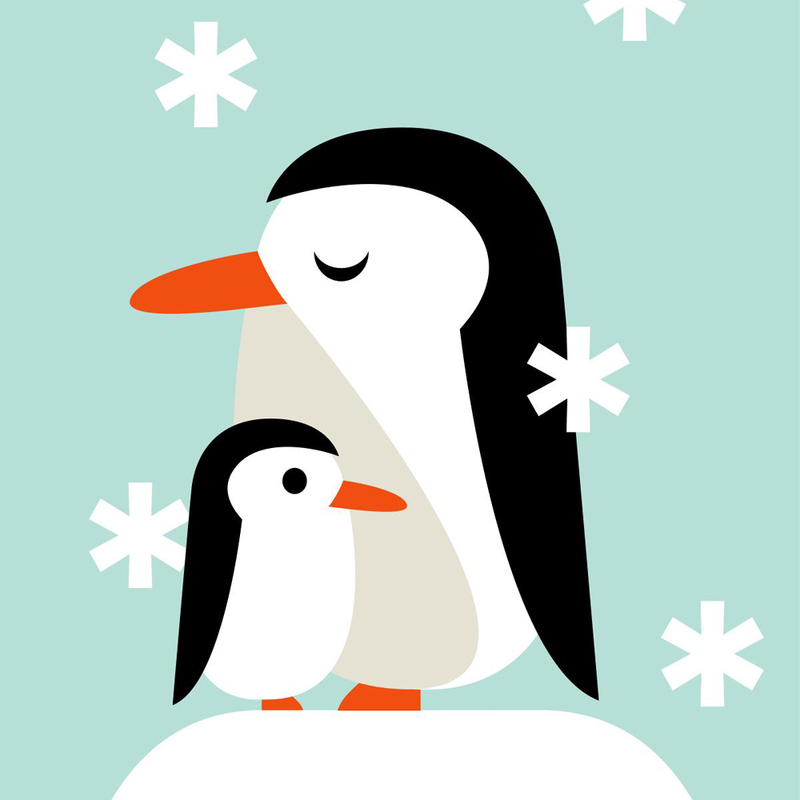 Dicky Bird was commissioned to produce some contemporary Christmas designs for the Museums & Galleries Collection for Christmas 2011. 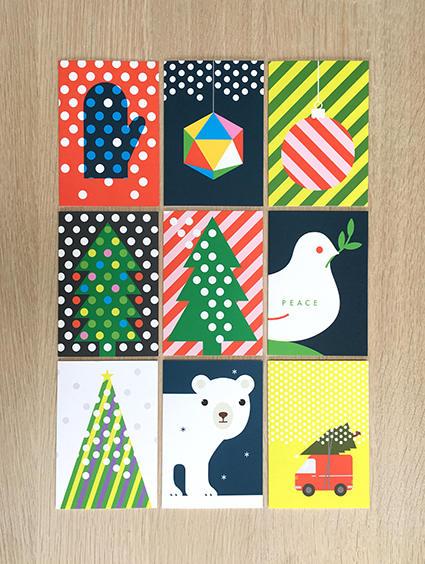 Dicky Bird has been selected to take part in The Poundshop at Somerset House this December. 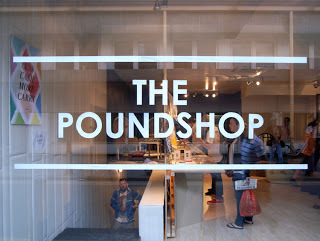 It’s like a poundshop, but posh! 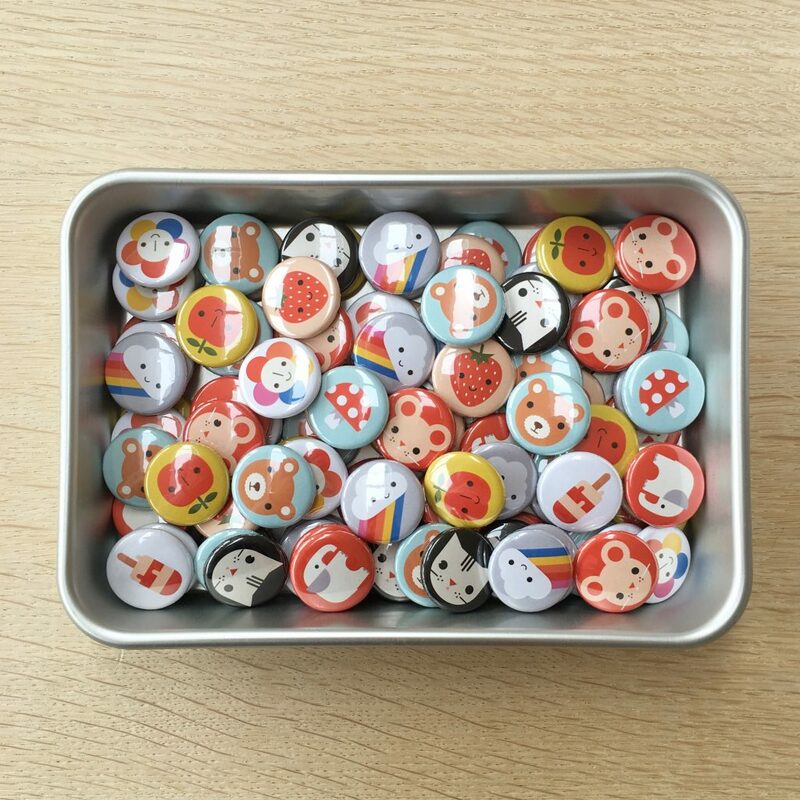 DB Pocket Mirrors, Cards and Button Badges will feature. 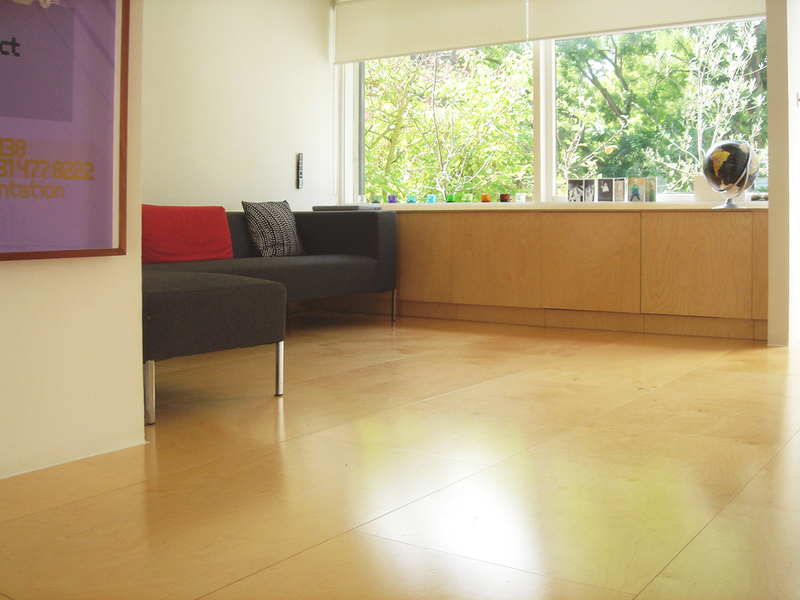 We’ll be at the Midcentury Modern Show at Dulwich College on Sunday 14th November. 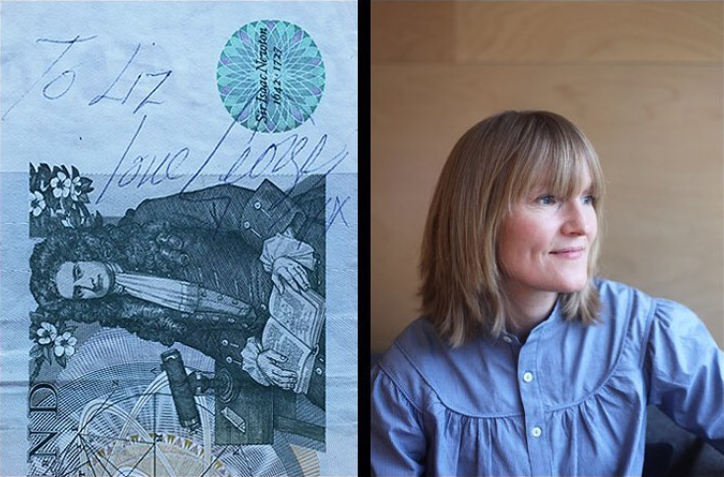 Alongside us will be the lovely ladies from Le Train Fantome and Sally Nencini. Dicky Bird’s nest is featured on July’s Bloesem Blog. Take the Let’s Get Personal Tour! 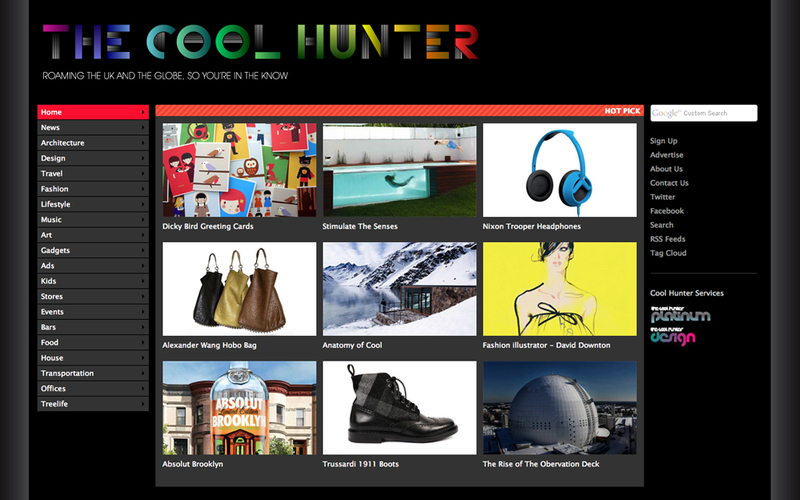 See Dicky Bird and other smart stuff on The Cool Hunter this week – ‘Roaming the UK and the globe, so you’re in the know’.